A. Emadi, A. Khaligh, Z. Nie, Y.-J. Lee, Integrated Power Electronic Converters and Digital Control, Boca Raton, FL: CRC Press, ISBN: 978-1-4398-0069-0, May 2009. 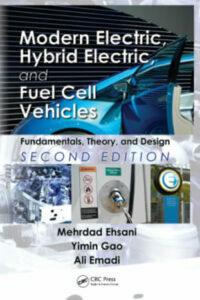 Y. Yang and A. Emadi, “Hybrid and plug-in hybrid electric vehicles,” Wiley Encyclopedia of Electrical and Electronics Engineering, John Wiley & Sons, Inc., January 2013. J. Cao, M. Krishnamurthy, and A. Emadi, “Battery electronics for electric and hybrid electric vehicles,” The Industrial Electronics Handbook, CRC Press/IEEE Press, 2011. M. Krishnamurthy, J. Cao, and A. Emadi, “Electrical loads in automotive systems,” The Industrial Electronics Handbook, CRC Press/IEEE Press, 2011. A. E. Amac and A. Emadi, “Uninterruptible power supplies,” McGraw-Hill Encyclopedia of Science and Technology, 10th Edition, McGraw-Hill, 2007. A. E. Amac and A. Emadi, “Uninterruptible power supplies,” The Electrical Engineering Handbook, 3rd Edition, CRC Press, 2005. 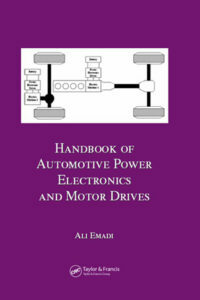 M. Ehsani and A. Emadi, “Multi-converter vehicular power electronic systems: definition, dynamics, and applications,” Jubilee Power Electrical Engineering, EdP Sciences, France, 2002. A. Emadi and M. Ehsani, Chapter 21, “More electric vehicles: 21.1 aircraft and 21.2 terrestrial vehicles,” CRC Handbook of Power Electronics, CRC Press, Nov. 2001. J. Mahdavi, A. Agah, and A. Emadi, Chapter 2.2, “Choppers: one-quadrant, two-quadrant, and four-quadrant,” CRC Handbook of Power Electronics, CRC Press, Nov. 2001. S. Nalakath, Y. Sun, M. Preindl, and A. Emadi, “Optimization-based position sensorless finite control set model predictive control for IPMSMs,” accepted and to be published in IEEE Transactions on Power Electronics. E. Chemali, P. Kollmeyer, M. Preindl, R. Ahmed, and A. Emadi, “Long short-term memory-networks for accurate state of charge estimation of Li-ion batteries,” accepted and to be published in IEEE Transactions on Industrial Electronics. D. Wang, F. Peng, J. Ye, Y. Tang, and A. Emadi, “Dead-time effect analysis of a three phase dual active bridge DC/DC converter,” accepted and to be published in IET Power Electronics. P. Anselma, Y. Huo, J. Roeleveld, G. Belingardi, and A. Emadi, “Rapid optimal design of a multimode power split hybrid electric vehicle transmission,” accepted and to be published in Proceedings of the Institute of Mechanical Engineers, Part D: Journal of Automobile Engineering. L. Dorn-Gomba, P. Magne, B. Danen, and A. Emadi, “On the concept of the multi-source inverter for hybrid vehicle powertrains,” accepted and to be published in IEEE Transactions on Power Electronics. D. Hilgersom, E. Fairall, B. Bilgin, T. Hofman, and A. Emadi, “Round and rectangular winding loss analysis and optimization for a 22,000 rpm 150 kW switched reluctance machine,” accepted and to be published in International Journal of Powertrains. J. Guo, J. Ye, and A. Emadi, “DC-link current and voltage ripple analysis considering anti-parallel diode reverse recovery in voltage source inverters,” accepted and to be published in IEEE Transactions on Power Electronics. F. Kelch, Y. Yang, B. Bilgin, and A. Emadi, “Investigation and design of an axial flux permanent magnet machine for a commercial midsize aircraft electric taxiing system,” accepted and to be published in IET Electrical Systems in Transportation. J. Dong, B. Howey, J. Lin, W. Jiang, B. Bilgin, and A. Emadi, “Advanced dynamic modeling of three-phase mutually-coupled switched reluctance machine,” accepted and to be published in IEEE Transactions on Energy Conversion. O. Beik and A. Emadi, “Towards integrated digital aircraft control systems using FPGA and ARM-based cores,” accepted and to be published in IEEE Electrification Magazine. A. D. Callegaro, J. Guo, M. Eull, B. Danen, J. Gibson, M. Preindl, B. Bilgin, and A. Emadi, “Bus bar design for high-power inverters,” IEEE Transactions on Power Electronics, vol. 33, no. 3, pp. 2354-2367, March 2018, Digital Object Identifier 10.1109/TPEL.2017.2691668. A. Ravichandran, S. Sirouspour, P. Malysz, and A. Emadi, “A chance-constraints-based control strategy for microgrids with energy storage and integrated electric vehicles,” IEEE Transactions on Smart Grid, vol. 9, no. 1, pp. 346-359, Jan. 2018, Digital Object Identifier 10.1109/TSG.2016.2552173. Y. Miao, H. Ge, M. Preindl, J. Ye, B. Cheng, and A. Emadi, “MTPA fitting and torque estimation technique based on a new flux-linkage model for interior permanent magnet synchronous machines,” IEEE Transactions on Industry Applications, vol. 53, no. 6, pp. 5451-5460, Nov./Dec. 2017, Digital Object Identifier 10.1109/TIA.2017.2726980. R. Hou and A. Emadi, “A primary full-integrated active filter auxiliary power module in electrified vehicles with single-phase onboard chargers,” IEEE Transactions on Power Electronics, vol. 32, no. 11, pp. 8393-8405, Nov. 2017, Digital Object Identifier 10.1109/TPEL.2017.2650482. F. Peng, J. Ye, and A. Emadi, “An asymmetric three-level neutral point diode clamped converter for switched reluctance motor drives,” IEEE Transactions on Power Electronics, vol. 32, no. 11, pp. 8618-8631, Nov. 2017, Digital Object Identifier 10.1109/TPEL.2016.2642339. H. Ge, Y. Miao, B. Bilgin, B. Nahid-Mobarakeh, and A. Emadi, “Speed range extended maximum torque per Ampere control for PM drives considering inverter and motor nonlinearities,” IEEE Transactions on Power Electronics, vol. 32, no. 9, pp. 7151-7159, Sept. 2017, Digital Object Identifier 10.1109/TPEL.2016.2630051. J. Dong, J. W. Jiang, B. Howey, H. Li, B. Bilgin, A. D. Callegaro, and A. Emadi, “Hybrid acoustic noise analysis approach of conventional and mutually coupled switched reluctance motors,” IEEE Transactions on Energy Conversion, vol. 32, no. 3, pp. 1042-1051, Sept. 2017, Digital Object Identifier 10.1109/TEC.2017.2672741. J. W. Jiang, F. Peng, B. Bilgin, and A. Emadi, “Optimization-based procedure for characterizing switched reluctance motors,” IET Electric Power Applications, vol. 11, no. 8, pp.1366-1375, Aug. 2017, Digital Object Identifier 10.1049/iet-epa.2017.0072. Y. Sun, M. Preindl, S. Sirouspour, and A. Emadi, “Unified wide-speed sensorless scheme using nonlinear optimization for IPMSM drives,” IEEE Transactions on Power Electronics, vol. 32, no. 8, pp. 6308-6322, Aug. 2017, Digital Object Identifier 10.1109/TPEL.2016.2621064. K. P. Divakarla, A. Emadi, and S. N. Razavi, “Journey mapping, re-defined drive cycle: an accurate vehicle performance prediction tool,” International Journal of Electric and Hybrid Vehicles, vol. 9, no. 2, pp. 169-186, July 2017, Digital Object Identifier 10.1504/IJEHV.2017.10006174. Y. Yang, B. Bilgin, M. Kasprzak, S. Nalakath, H. Sadek, M. Preindl, J. Cotton, N. Schofield, and A. Emadi, “Thermal management of electric machines,” IET Electrical Systems in Transportation, vol. 7, no. 2, pp. 104-116, June 2017, Digital Object Identifier 10.1049/iet-est.2015.0050. F. Peng, J. Ye, A. Emadi, and Y. Huang, “Position sensorless control of switched reluctance motor drives based on numerical method,” IEEE Transactions on Industry Applications, vol. 53, no. 3, pp. 2159-2168, May/June 2017, Digital Object Identifier 10.1109/TIA.2017.2672523. S. Nalakath, M. Preindl, and A. Emadi, “Online multi-parameter estimation of interior permanent magnet motor drives with finite control set model predictive control,” IET Electric Power Applications, vol. 11, no. 5, pp. 944-951, May 2017, Digital Object Identifier 10.1049/iet-epa.2016.0514. J. Ye, K. Yang, H. Ye, and A. Emadi, “A fast electro-thermal model of traction inverters for electrified vehicles,” IEEE Transactions on Power Electronics, vol. 32, no. 5, pp. 3920-3934, May 2017, Digital Object Identifier 10.1109/TPEL.2016.2585526. Y. Yang, S. M. Castano, R. Yang, M. Kasprzak, B. Bilgin, A. Sathyan, H. Dadkhah, and A. Emadi, “Design and comparison of interior permanent magnet motor topologies for traction applications,” IEEE Transactions on Transportation Electrification, vol. 3, no. 1, pp. 86-97, March 2017, Digital Object Identifier 10.1109/TTE.2016.2614972. J. W. Jiang, B. Bilgin, and A. Emadi, “Three-phase 24/16 switched reluctance machine for a hybrid electric powertrain,” IEEE Transactions on Transportation Electrification, vol. 3, no. 1, pp. 76-85, March 2017, Digital Object Identifier 10.1109/TTE.2017.2664778. R. Hou and A. Emadi, “Applied integrated active filter auxiliary power module for electrified vehicles with single-phase onboard chargers,” IEEE Transactions on Power Electronics, vol. 32, no. 3, pp. 1860-1871, March 2017, Digital Object Identifier 10.1109/TPEL.2016.2569486. Y. Yang, N. Schofield, and A. Emadi, “Magnetic interaction and winding polarities investigation in a double-rotor switched reluctance machine,” Electric Power Components and Systems Journal, vol. 45, no. 2, pp. 211-220, 2017, Digital Object Identifier 10.1080/15325008.2016.1248250. L. McCurlie, M. Preindl, and A. Emadi, “Fast model predictive control for redistributive Lithium ion battery balancing,” IEEE Transactions on Industrial Electronics, vol. 64, no. 2, pp. 1350-1357, Feb. 2017, Digital Object Identifier 10.1109/TIE.2016.2611488. R. Gu, P. Malysz, H. Yang, and A. Emadi, “On the suitability of electrochemical-based modeling for Lithium-ion batteries,” IEEE Transactions on Transportation Electrification, vol. 2, no. 4, pp. 417-431, Dec. 2016. T. Guo, N. Schofield, and A. Emadi, “Double segmented rotor switched reluctance machine with shared stator back-iron for magnetic flux passage,” IEEE Transactions on Energy Conversion, vol. 31, no. 4, pp. 1278-1286, Dec. 2016. K. P. Divakarla, A. Emadi, and S. N. Razavi, “Journey mapping—a new approach for defining automotive drive cycles,” IEEE Transactions on Industry Applications, vol. 52, no. 6, pp. 5121-5129, Nov./Dec. 2016. F. Peng, J. Ye, and A. Emadi, “A digital PWM current controller for switched reluctance motor drives,” IEEE Transactions on Power Electronics, vol. 31, no. 10, pp. 7087-7098, Oct. 2016. E. Chemali, M. Preindl, P. Malysz, and A. Emadi, “Electrochemical and electrostatic energy storage and management systems for electric drive vehicles: state-of-the-art review and future trends,” IEEE Journal of Emerging and Selected Topics in Power Electronics, vol. 4, no. 3, pp. 1117-1134, Sept. 2016. J. W. Jiang, B. Bilgin, A. Sathyan, H. Dadkhah, and A. Emadi, “Analysis of unbalanced magnetic pull in eccentric IPM machines with series and parallel windings,” IET Electric Power Applications, pp. 526-538, vol. 10, no. 6, June 2016. Y. Yang, N. Schofield, and A. Emadi, “Integrated electromechanical double-rotor compound hybrid transmissions for hybrid electric vehicles,” IEEE Transactions on Vehicular Technology, vol. 65, no. 6, pp. 4687-4699, June 2016. P. Malysz, J. Ye, R. Gu, H. Yang, and A. Emadi, “Battery state-of-power peak current calculation and verification using an asymmetric parameter equivalent circuit model,” IEEE Transactions on Vehicular Technology, vol. 65, no. 6, pp. 4512-4522, June 2016. P. Malysz, R. Gu, J. Ye, H. Yang, and A. Emadi, “State-of-charge and state-of-health estimation with state constraints and current sensor bias correction for electrified powertrain vehicle batteries,” IET Electrical Systems in Transportation, vol. 6, no. 2, pp. 136-144, June 2016. J. W. Jiang, B. Bilgin, Y. Yang, A. Sathyan, H. Dadkhah, and A. Emadi, “Rotor skew pattern design and optimization for cogging torque reduction,” IET Electrical Systems in Transportation, vol. 6, no. 2, pp. 126-135, June 2016. Y. Yang, N. Schofield, and A. Emadi, “Double-rotor switched reluctance machine design, simulations, and validations,” IET Electrical Systems in Transportation, vol. 6, no. 2, pp. 117-125, June 2016. S. M. Castano, B. Bilgin, E. Fairall, and A. Emadi, “Acoustic noise analysis of a high-speed high-power switched reluctance machine: frame effects,” IEEE Transactions on Energy Conversion, vol. 31, no. 1, pp. 69-77, March 2016. Y. Yang, K. Arshad-Ali, J. Roeleveld, and A. Emadi, “State-of-the-art electrified powertrains: hybrid, plug-in, and electric vehicles,” International Journal of Powertrains, vol. 5, no. 1, pp. 1-29, Jan. 2016. J. Lin, N. Schofield, and A. Emadi, “External-rotor 6-10 switched reluctance motor for an electric bicycle,” IEEE Transactions on Transportation Electrification, vol. 1, no. 4, Dec. 2015. M. T. E. Heinrich, F. Kelch, P. Magne, and A. Emadi, “Regenerative braking capability analysis of an electric taxiing system for a single aisle midsize aircraft,” IEEE Transactions on Transportation Electrification, vol. 1, no. 3, pp. 298-307, Oct. 2015. S. Ramarathnam, A. K. Mohammed, B. Bilgin, A. Sathyan, H. Dadkhah, and A. Emadi, “A review of structural and thermal analysis of traction motors,” IEEE Transactions on Transportation Electrification, vol. 1, no. 3, pp. 255-265, Oct. 2015. B. Bilgin, P. Magne, P. Malysz, Y. Yang, V. Pantelic, M. Preindle, A. Korobkine, J. W. Wang, M. Lawford, and A. Emadi, “Making the case for electrified transportation,” IEEE Transactions on Transportation Electrification, vol. 1, no. 1, pp. 4-17, June 2015. J. Ye, B. Bilgin, and A. Emadi, “An offline torque sharing function for torque ripple reduction in switched reluctance motor drives,” IEEE Transactions on Energy Conversion, vol. 30, no. 2, pp. 726-735, June 2015. Y. Yang, N. Schofield, and A. Emadi, “Double-rotor switched reluctance machine (DRSRM),” IEEE Transactions on Energy Conversion, vol. 30, no. 2, pp. 671-680, June 2015. J. Ye, P. Malysz, and A. Emadi, “A fixed-switching-frequency integral sliding mode current controller for switched reluctance motor drives,” IEEE Journal of Emerging and Selected Topics in Power Electronics, vol. 3, no. 2, pp. 381-394, June 2015. Q. Yu, B. Bilgin, and A. Emadi, “Loss and efficiency analysis of switched reluctance machines using a new calculation method,” IEEE Transactions on Industrial Electronics, vol. 62, no. 5, pp. 3072-3080, May 2015. J. Ye, B. Bilgin, and A. Emadi, “Elimination of mutual flux effect on rotor position estimation of switched reluctance motor drives,” IEEE Transactions on Power Electronics, vol. 30, no. 3, pp. 1499-1512, March 2015. J. Ye, B. Bilgin, and A. Emadi, “An extended-speed low-ripple torque control of switched reluctance motor drives,” IEEE Transactions on Power Electronics, vol. 30, no. 3, pp. 1457-1470, March 2015. J. Ye, B. Bilgin, and A. Emadi, “Elimination of mutual flux effect on rotor position estimation of switched reluctance motor drives considering magnetic saturation,” IEEE Transactions on Power Electronics, vol. 30, no. 2, pp. 532-536, Feb. 2015. H. Ye and A. Emadi, “A six-phase current reconstruction scheme for dual traction inverters in hybrid electric vehicles with a single DC-link current sensor,” IEEE Transactions on Vehicular Technology, vol. 63, no. 7, pp. 3085-3093, Sept. 2014. P. Suntharalingam, A. Emadi, and M. Zhang, “Hybrid electric powertrains: current status, future trends, and electro-mechanical integration methods,” International Journal of Powertrains, vol. 3, no. 3, pp. 319-349, August 2014. P. Malysz, S. Sirouspour, and A. Emadi, “An optimal energy storage control strategy for grid-connected microgrids,” IEEE Transactions on Smart Grid, vol. 5, no. 4, pp. 1785-1796, July 2014. 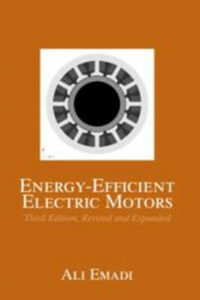 B. Bilgin and A. Emadi, “Electric motors in electrified transportation,” IEEE Power Electronics Magazine, vol. 1, no. 2, pp. 10-17, June 2014. A. Emadi, “Electrification factor in transportation,” EE Times (Online), December 2013. A. Emadi, “Guest editorial special issue on transportation electrification and vehicle systems,” IEEE Transactions on Power Electronics, vol. 28, no. 12, pp. 5435-5436, Dec. 2013. R. Reisinger and A. Emadi, “Sensible transportation electrification,” IEEE Electrification Magazine, vol. 1, no. 2, December 2013. I. Cervantes, A. Mendoza-Torres, A. Emadi, and I. Diaz-Diaz, “Robust switched current control of converters,” IET Control Theory & Applications, vol. 7, no. 10, pp. 1398-1407, July 2013. B. Bilgin, A. Emadi, and M. Krishnamurthy, “Comprehensive evaluation of the dynamic performance of a 6/10 SRM for traction application in PHEVs,” IEEE Transactions on Industrial Electronics, vol. 60, no. 7, pp. 2564-2575, July 2013. I. Stamenkovic, N. Milivojevic, N. Schofield, M. Krishnamurthy, and A. Emadi, “Design, analysis, and optimization of ironless stator permanent magnet machines,” IEEE Transactions on Power Electronics, vol. 28, no. 5, pp. 2527-2538, May 2013. C. Sahin, A. E. Amac, M. Karacor, and A. Emadi, “Reducing torque ripple of switched reluctance machines by relocation of rotor molding clinches,” IET Electric Power Applications, vol. 6, no. 9, pp. 753-760, 2012. B. Bilgin, A. Emadi, and M. Krishnamurthy, “Design considerations for switched reluctance machines with higher number of rotor poles,” IEEE Transactions on Industrial Electronics, vol. 59, no. 10, pp. 3745-3756, Oct. 2012. R. Reisinger and A. Emadi, “What’s driving the car of the future,” The Bridge: The Magazine of IEEE-Eta Kappa Nu, vol. 108, no. 1, pp. 20-22, May 2012. S. G. Wirasingha, R. Gremban, and A. Emadi, “Source-to-wheel (STW) analysis of plug-in hybrid electric vehicles,” IEEE Transactions on Smart Grid, vol. 3, no. 1, pp. 316-331, March 2012. N. Milivojevic, M. Krishnamurthy, Y. Gurkaynak, A. Sathyan, Y.-J. Lee, and A. Emadi, “Stability analysis of FPGA-based control of brushless DC motors and generators using digital PWM technique,” IEEE Transactions on Industrial Electronics, vol. 59, no. 1, pp. 343-351, Jan. 2012. J. Cao and A. Emadi, “A new battery/ultra-capacitor hybrid energy storage system for electric, hybrid and plug-in hybrid electric vehicles,” IEEE Transactions on Power Electronics, vo. 27, no. 1, pp. 122-132, Jan. 2012. N. Milivojevic, M. Krishnamurthy, A. Emadi, and I. Stamenkovic, “Theory and implementation of a simple digital control strategy for brushless DC generators,” IEEE Transactions on Power Electronics, vol. 26, no. 11, pp. 3345-3356, Nov. 2011. S. G. Wirasingha, S. M. Lukic, F. Rodriguez, A. I. Antoniou, and A. Emadi, “Adaptive control for hybrid electric vehicles,” International Journal of Electric and Hybrid Vehicles, vol. 3, no. 2, pp. 99-122, Aug. 2011. C. Sahin, A. E. Amac, M. Karacor, and A. Emadi, “A comparative analysis of the effects of rotor molding clinches on torque ripple of mutually coupled SRMs,” International Review of Electrical Engineering, vol. 6, no. 4, pp. 1627-1635, July/Aug. 2011. (Invited) A. Emadi, “Transportation 2.0: electrified–enabling cleaner, greener, and more affordable domestic electricity to replace petroleum,” IEEE Power & Energy Magazine, vol. 9, no. 4, pp. 18-29, July/August 2011. J. Cao and A. Emadi, “Batteries need electronics,” IEEE Industrial Electronics Magazine, vol. 5, no. 1, pp. 27-35, March 2011. S. G. Wirasingha and A. Emadi, “Pihef: plug-in hybrid electric factor,” IEEE Transactions on Vehicular Technology, vol. 60, no. 3, pp. 1279-1284, March 2011. S. G. Wirasingha and A. Emadi, “Classification and review of control strategies for plug-in hybrid electric vehicles,” IEEE Transactions on Vehicular Technology, vol. 60, no. 1, pp. 111-122, Jan. 2011. S. M. Lukic and A. Emadi, “State switching control technique for switched reluctance motor drives: theory and implementation,” IEEE Transactions on Industrial Electronics, vol. 57, no. 9, pp. 2932-2938, Sept. 2010. P. Mulhall, S. M. Lukic, S. G. Wirasingha, Y.-J. Lee, and A. Emadi, “Solar-assisted electric auto rickshaw three-wheeler,” IEEE Transactions on Vehicular Technology, vol. 59, no. 5, pp. 2298-2307, June 2010. A. M. Rahimi and A. Emadi, “Discontinuous-conduction mode DC/DC converters feeding constant power loads,” IEEE Transactions on Industrial Electronics, vol. 57, no. 4, pp. 1318-1329, April 2010. A. M. Rahimi, G. A. Williamson, and A. Emadi, “Loop-cancellation technique: a novel non-linear feedback to overcome the destabilizing effect of constant power loads,” IEEE Transactions on Vehicular Technology, vol. 59, no. 2, pp. 650-661, Feb. 2010. P. Desai, M. Krishnamurthy, N. Schofield, and A. Emadi, “Novel switched reluctance machine configuration with higher number of rotor poles than stator poles: concept to implementation,” IEEE Transactions on Industrial Electronics, vol. 57, no. 2, pp. 649-659, Feb. 2010. S. M. Lukic, A. Bhandwale, and A. Emadi, “Novel digital control of conventional electric motor drives for home appliances,” International Journal of Power Electronics, vol. 2, no. 1, pp. 16-35, Jan. 2010. Y.-J. Lee, A. Khaligh, and A. Emadi, “Advanced integrated bi-directional AC/DC and DC/DC converter for plug-in hybrid electric vehicles,” IEEE Transactions on Vehicular Technology, vol. 58, no. 8, pp. 3970-3980, Oct. 2009. F. J. Perez-Pinal, I. Cervantes, and A. Emadi, “Stability of electric differential for traction applications,” IEEE Transactions on Vehicular Technology, vol. 58, no. 7, pp. 3224-3223, Sept. 2009. A. Sathyan, N. Milivojevic, Y.-J. Lee, M. Krishnamurthy, and A. Emadi, “An FPGA based novel digital PWM control scheme for BLDC motor drives,” IEEE Transactions on Industrial Electronics, vol. 56, no. 8, pp. 3040-3049, Aug. 2009. A. M. Rahimi and A. Emadi, “An analytical investigation of DC/DC power electronic converters with constant power loads in vehicular power systems,” IEEE Transactions on Vehicular Technology, vol. 58, no. 6, pp. 2689-2702, July 2009. Y.-J. Lee, A. Khaligh, A. Chakraborthy, and A. Emadi, “Digital combination of buck and boost converters to control a positive buck-boost converter and improve the output transients,” IEEE Transactions on Power Electronics, vol. 24, no. 5, pp. 1267-1279, May 2009. A. M. Rahimi and A. Emadi, “Active damping in DC/DC power electronic converters: a novel method to overcome the problems of constant power loads,” IEEE Transactions on Industrial Electronics, vol. 56, no. 5, pp. 1428-1439, May 2009.
technique for smooth transitions in noninverting buck-boost converter,” IEEE Transactions on Power Electronics, vol. 24, no. 4, pp. 1002-1015, April 2009. S. M. Lukic and A. Emadi, “Charging ahead: The development of adequate energy storage systems in electric, hybrid electric, and plug-in hybrid electric vehicles,” IEEE Industrial Electronics Magazine, vol. 2, no. 4, pp. 22-31, Dec. 2008. S. M. Lukic, P. Mulhall, and A. Emadi, “Energy autonomous solar/battery auto rickshaw,” Journal of Asian Electric Vehicles, vol. 6, no. 2, Dec. 2008. A. Esfandiari, M. Parniani, A. Emadi, and H. Mokhtari, “Application of the unified power quality conditioner for mitigating electric arc furnace disturbances,” International Journal of Power and Energy Systems, vol. 28, no. 4, Dec. 2008. A. Emadi, Y. J. Lee, and K. Rajashekara, “Power electronics and motor drives in electric, hybrid electric, and plug-in hybrid electric vehicles,” IEEE Transactions on Industrial Electronics, vol. 55, no. 6, pp. 2237-2245, June 2008. S. M. Lukic, J. Cao, R. C. Bansal, F. Rodriguez, and A. Emadi, “Energy storage systems for automotive applications,” IEEE Transactions on Industrial Electronics, vol. 55, no. 6, pp. 2258-2267, June 2008. A. Emadi and K. Rajashekara, “Guest editorial special section on automotive power electronics and electrical drives,” IEEE Transactions on Industrial Electronics, vol. 55, no. 6, pp. 2235-2236, June 2008. A. Khaligh and A. Emadi, “Mixed DCM/CCM pulse adjustment with constant power loads,” IEEE Transactions on Aerospace and Electronic Systems, vol. 44, no. 2, pp. 766-782, April 2008. A. Khaligh, A. M. Rahimi, and A. Emadi, “Modified pulse adjustment technique to control DC/DC converters driving variable contact power loads,” IEEE Transactions on Industrial Electronics, vol. 55, no. 3, pp. 1133-1146, March 2008. A. Nasiri, Z. Nie, S. Bekiarov, and A. Emadi, “An on-line UPS system with power factor correction and electric isolation using BIFRED converter,” IEEE Transactions on Industrial Electronics, vol. 55, no. 2, pp. 722-730, Feb. 2008. A. Khaligh, A. M. Rahimi, Y. J. Lee, J. Cao, A. Emadi, S. D. Andrews, C. Robinson, and C. Finnerty, “Digital control of an isolated active hybrid fuel cell/Li-ion battery power supply,” IEEE Transactions on Vehicular Technology, vol. 56, no. 6, pp. 3709-3721, Nov. 2007. F. Rodriguez and A. Emadi, “A novel digital control technique for brush-less DC motor drives,” IEEE Transactions on Industrial Electronics, vol. 54, no. 5, pp. 2365-2373, Oct. 2007. S. S. Williamson, A. Emadi, and K. Rajashekara, “Comprehensive efficiency modeling of electric traction motor drives for hybrid electric vehicle propulsion applications,” IEEE Transactions on Vehicular Technology, vol. 56, no. 4, pp. 1561-1572, July 2007. A. Khaligh, A. M. Rahimi, and A. Emadi, “Negative impedance stabilizing pulse adjustment control technique for DC/DC converters operating in discontinuous conduction mode and driving constant power loads,” IEEE Transactions on Vehicular Technology, vol. 56, no. 4, pp. 2005-2016, July 2007. A. Khaligh and A. Emadi, “Suitability of pulse adjustment technique to control single DC/DC choppers feeding vehicular constant power loads in parallel with conventional loads,” International Journal of Electric and Hybrid Vehicles, vol. 1, no. 1, pp. 20-45, June 2007. D. W. Gao, C. Mi, and A. Emadi, “Modeling and simulation of electric and hybrid vehicles,” Proceedings of the IEEE, vol. 95, no. 4, pp. 729-745, April 2007. A. Antoniou, J. Komyathy, J. Bench, and A. Emadi, “Modeling and simulation of various hybrid electric configurations of the high-mobility multipurpose wheeled vehicle (HMMWV),” IEEE Transactions on Vehicular Technology, vol. 56, no. 2, pp. 459-465, March 2007. A. Emadi, Y. P. Patel, and B. Fahimi, “Thyristor-based resonant current controlled switched reluctance generator for distributed generation,” Journal of Electrical Engineering and Technology, March 2007. A. Emadi, A. Khaligh, C. Rivetta, and G. A. Williamson, “Constant power loads and negative impedance instability in automotive systems: definition, modeling, stability, and control of power electronic converters and motor drives,” IEEE Transactions on Vehicular Technology, vol. 55, no. 4, pp. 1112-1125, July 2006. A. Emadi and J. Shen, “Guest editorial special issue on automotive power electronics and motor drives,” IEEE Transactions on Power Electronics, vol. 21, no. 3, pp. 565-566, May 2006. A. Emadi, S. S. Williamson, and A. Khaligh, “Power electronics intensive solutions for advanced electric, hybrid electric, and fuel cell vehicular power systems,” IEEE Transactions on Power Electronics, vol. 21, no. 3, pp. 567-577, May 2006. S. S. Williamson, S. M. Lukic, and A. Emadi, “Comprehensive drive train efficiency analysis of hybrid electric and fuel cell vehicles based on motor-controller efficiency modeling,” IEEE Transactions on Power Electronics, vol. 21, no. 3, pp. 730-740, May 2006. M. Krishnamurthy, C. S. Edrington, A. Emadi, P. Asadi, M. Ehsani, and B. Fahimi, “Making the case for applications of switched reluctance motor technology in automotive products,” IEEE Transactions on Power Electronics, vol. 21, no. 3, pp. 659-675, May 2006. A. Khaligh and A. Emadi, “Stabilizing control of DC/DC buck converters with constant power loads in continuous conduction and discontinuous conduction modes using digital power alignment technique,” Journal of Electrical Engineering and Technology, pp. 63-72, March 2006. C. Rivetta, A. Emadi, G. A. Williamson, R. Jayabalan, and B. Fahimi, “Analysis and control of a buck DC-DC converter operating with constant power load in sea and undersea vehicles,” IEEE Transactions on Industry Applications, vol. 42, no. 2, pp. 559-572, March/April 2006. S. S. Williamson, A. Emadi, and A. Dewan, “Effects of varying driving schedules on the drive train efficiency and performance characteristics of a parallel diesel-hybrid bus,” Society of Automotive Engineers (SAE) Journal, Paper No. 2005-01-3477, 2005; and, in Proc. SAE 2005 Future Transportation Technology Conference, Chicago, IL, Sept. 2005. A. Khaligh, A. Emadi, G. A. Williamson, and C. Rivetta, “Constant power load characteristics in multi-converter automotive power electronic intensive systems,” Society of Automotive Engineers (SAE) Journal, Paper No. 2005-01-3451, 2005; and, in Proc. SAE 2005 Future Transportation Technology Conference, Chicago, IL, Sept. 2005. J. Park, B. Raju, and A. Emadi, “Effects of an ultra-capacitor and battery energy storage system in a hybrid electric vehicle,” Society of Automotive Engineers (SAE) Journal, Paper No. 2005-01-3452, 2005; and, in Proc. SAE 2005 Future Transportation Technology Conference, Chicago, IL, Sept. 2005. S. Sadiq, T. M. Jacobius, and A. Emadi, “Automotive interprofessional projects (IPRO®) program at Illinois Institute of Technology,” Society of Automotive Engineers (SAE) Journal, Paper No. 2005-01-3465, 2005; and, in Proc. SAE 2005 Future Transportation Technology Conference, Chicago, IL, Sept. 2005. M. Ferdowsi and A. Emadi, M. Telefus, and C. Davis, “Pulse regulation control technique for Flyback converter,” IEEE Transactions on Power Electronics, vol. 20, no. 4, pp. 798-805, July 2005. 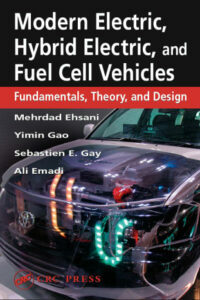 A. Emadi and K. Rajashekara, “Guest editorial special section on hybrid electric and fuel cell vehicles,” IEEE Transactions on Vehicular Technology, vol. 54, no. 3, pp. 761-762, May 2005. A. Emadi, K. Rajashekara, S. S. Williamson, and S. M. Lukic, “Topological overview of hybrid electric and fuel cell vehicular power system architectures and configurations,” IEEE Transactions on Vehicular Technology, vol. 54, no. 3, pp. 763-770, May 2005. J. Mahdavi, M. R. Nasiri, A. Agah, and A. Emadi, “Application of neural networks and state-space averaging to DC/DC PWM converters in sliding mode operation,” IEEE/ASME Transactions on Mechatronics, vol. 10, no. 1, pp. 60-67, Feb. 2005. M. Ferdowsi and A. Emadi, “Pulse regulation control technique for integrated high-quality rectifier-regulators,” IEEE Transactions on Industrial Electronics, vol. 52, no. 1, pp. 116-124, Feb. 2005. M. Ferdowsi, A. Emadi, M. Telefus, and A. Shteynberg, “Suitability of Pulse Train control technique for BIFRED converter,” IEEE Transactions on Aerospace and Electronic Systems, vol. 41, no. 1, pp. 181-189, Jan. 2005. B. Fahimi, A. Emadi, and R. B. Sepe, “Four-quadrant position sensorless control in SRM drives over the entire speed range,” IEEE Transactions on Power Electronics, vol. 20, no. 1, pp. 154-163, Jan. 2005. A. Shrinath and A. Emadi, “Electronic control units for automotive electrical power systems: communication and networks,” Journal of Automobile Engineering, Proceedings of the Institution of Mechanical Engineers, vol. 218, Part D, pp. 1217-1230, Dec. 2004. A. Emadi and S. S. Williamson, “Electric, hybrid electric, and fuel cell vehicles into the future: opportunities and challenges,” International Transactions on Electrical Machinery and Energy Conversion Systems, vol. 14, no. 4, Nov. 2004. A. Nasiri, A. E. Amac, and A. Emadi, “Series-parallel active filter/uninterruptible power supply system,” Journal of Electric Power Components and Systems, vol. 32, no. 11, pp. 1151-1163, Nov. 2004. R. Jayabalan and A. Emadi, “Acceleration support by integrated starter/alternator for automotive applications,” Journal of Automobile Engineering, Proceedings of the Institution of Mechanical Engineers, vol. 218, Part D, pp. 987-993, Nov. 2004. A. Emadi, “Modeling of power electronic loads in AC distribution systems using the generalized state space averaging method,” IEEE Transactions on Industrial Electronics, vol. 51, no. 5, pp. 992-1000, Oct. 2004. A. Emadi and T. M. Jacobius, “Interprofessional projects in advanced automotive power systems: an integrated education and research multidisciplinary approach,” IEEE Transactions on Education, vol. 47, no. 3, pp. 356-360, Aug. 2004. I. J. Albert, E. Kahrimanovic, and A. Emadi, “Diesel sport utility vehicles with hybrid electric drive trains,” IEEE Transactions on Vehicular Technology, vol. 53, no. 4, pp. 1247-1256, July 2004. A. Emadi, “Modeling and analysis of multiconverter DC power electronic systems using the generalized state space averaging method,” IEEE Transactions on Industrial Electronics, vol. 51, no. 3, pp. 661-668, June 2004. S. C. Oh and A. Emadi, “Test and simulation of axial flux motor characteristics for hybrid electric vehicles,” IEEE Transactions on Vehicular Technology, vol. 53, no. 3, pp. 912-919, May 2004. M. Telefus, A. Shteynberg, M. Ferdowsi, and A. Emadi, “Pulse Train control technique for flyback converter,” IEEE Transactions on Power Electronics, vol. 19, no. 3, pp. 757-764, May 2004. S. S. Williamson, S. C. Rimmalapudi, and A. Emadi, “Electrical modeling of renewable energy sources and energy storage devices,” Journal of Power Electronics, vol. 4, no. 2, pp. 117-126, April 2004. M. Ferdowsi and A. Emadi, “Estimative current mode control technique for DC-DC converters operating in discontinuous conduction mode,” IEEE Power Electronics Letters, vol. 2, no. 1, pp. 20-23, March 2004. B. Fahimi, A. Emadi, and R. B. Sepe, “A switched reluctance machine based starter/alternator for more electric cars,” IEEE Transactions on Energy Conversion, vol. 19, no. 1, pp. 116-124, March 2004. S. M. Lukic and A. Emadi, “Effects of drivetrain hybridization on fuel economy and dynamic performance of parallel hybrid electric vehicles,” IEEE Transactions on Vehicular Technology, vol. 53, no. 2, pp. 385-389, March 2004. S. Onoda and A. Emadi, “PSIM-based modeling of automotive power systems: conventional, electric, and hybrid electric vehicles,” IEEE Transactions on Vehicular Technology, vol. 53, no. 2, pp. 390-400, March 2004. A. C. Baisden and A. Emadi, “An ADVISOR based model of a battery and an ultra-capacitor energy source for hybrid electric vehicles,” IEEE Transactions on Vehicular Technology, vol. 53, no. 1, pp. 199-205, Jan. 2004. B. Fahimi and A. Emadi, and R. B. Sepe, “Position sensorless control: presenting technology ready for switched reluctance machine drive applications,” IEEE Industry Applications Magazine, vol. 10, no. 1, pp. 40-47, Jan./Feb. 2004. S. M. Lukic and A. Emadi, “Effects of electrical loads on 42V automotive power systems,” Society of Automotive Engineers (SAE) Journal, Paper No. 2003-01-2257, 2003; and, in Proc. SAE 2003 Future Transportation Technology Conference, Costa Mesa, CA, June 2003. R. Jayabalan and A. Emadi, “42V integrated starter/alternator systems,” Society of Automotive Engineers (SAE) Journal, Paper No. 2003-01-2258, 2003; and, in Proc. SAE 2003 Future Transportation Technology Conference, Costa Mesa, CA, June 2003. S. B. Bekiarov, A. Emadi, C. Patterson, M. Pourkermani, and J. Becker, “Design and implementation of a mobile single-phase AC power supply for land vehicles with 28/200V dual voltage alternators,” Society of Automotive Engineers (SAE) Journal, Paper No. 2003-01-2297, 2003; and, in Proc. SAE 2003 Future Transportation Technology Conference, Costa Mesa, CA, June 2003. S. M. Lukic, S. Al-Hallaj, J. R. Selman, and A. Emadi, “On the suitability of a new high-power lithium ion battery for hybrid electric vehicle applications,” Society of Automotive Engineers (SAE) Journal, Paper No. 2003-01-2289, SP-1789, 2003; and, in Proc. SAE 2003 Future Transportation Technology Conference, Costa Mesa, CA, June 2003. R. Oza and A. Emadi, “Evaluation and optimization of power electronic converters using advanced computer aided engineering techniques,” Journal of Power Electronics, vol. 3, no. 2, pp. 69-80, April 2003. S. Abazari, J. Mahdavi, H. Mokhtari, and A. Emadi, “Transient stability improvement by using advanced static VAR compensators,” Journal of Electric Power Components and Systems, vol. 31, no. 4, pp. 321-334, April 2003. S. Filizadeh, L. S. Safavian, and A. Emadi, “Control of variable reluctance motors: A comparison between classical and Lyapunov-based fuzzy schemes,” Journal of Power Electronics, vol. 2, no. 4, pp. 305-311, Oct. 2002. A. Emadi and S. S. Williamson, “Status review of power electronic converters for fuel cell applications,” Journal of Power Electronics, vol. 1, no. 2, pp. 133-144, Oct. 2001. A. Emadi, “Low-voltage switched reluctance machine based traction systems for lightly hybridized vehicles,” Society of Automotive Engineers (SAE) Journal, SP-1633, Paper Number 2001-01-2507, pp. 41-47, 2001; and, in Proc. SAE 2001 Future Transportation Technology Conference, Costa Mesa, CA, Aug. 2001. (Invited) M. Ehsani, A. Emadi, and H. Gao “42V automotive power systems,” Society of Automotive Engineers (SAE) Journal, SP-1636, Paper Number 2001-01-2465, pp. 1-5, 2001; and in Proc. SAE 2001 Future Transportation Technology Conference, Costa Mesa, CA, Aug. 2001. M. Ehsani and A. Emadi, “Multi-converter power systems and their applications,” Journal of Electric Power Components and Systems, vol. 29, no. 10, pp. 949-963, Oct. 2001. A. Emadi, B. Fahimi, M. Ehsani, and J. M. Miller, “On the suitability of low-voltage (42 V) electrical power system for traction applications in the parallel hybrid electric vehicles,” Society of Automotive Engineers (SAE) Journal, Paper No. 2000-01-1558, 2000; and, in Proc. SAE 2000 Future Car Congress, Arlington, Virginia, April 2000. A. Emadi, J. P. Johnson, and M. Ehsani, “Stability analysis of large DC solid state power systems for space,” IEEE Aerospace and Electronic Systems Magazine, vol. 15, no. 2, pp. 25-30, Feb. 2000. A. Emadi and M. Ehsani, “Aircraft power systems: technology, state of the art, and future trends,” IEEE Aerospace and Electronic Systems Magazine, vol. 15, no. 1, pp. 28-32, Jan. 2000. A. Emadi, B. Fahimi, and M. Ehsani, “On the concept of negative impedance instability in advanced aircraft power systems with constant power loads,” Society of Automotive Engineers (SAE) Journal, Paper No. 1999-01-2545, 1999; and, in Proc. 34th Intersociety Energy Conversion Engineering Conference, Vancouver, British Columbia, Canada, Aug. 1999. A. Emadi and M. Ehsani, “Electrical system architectures for future aircraft,” Society of Automotive Engineers (SAE) Journal, Paper No. 1999-01-2645, 1999; and, in Proc. 34th Intersociety Energy Conversion Engineering Conference, Vancouver, British Columbia, Canada, Aug. 1999. J. Mahdavi, A. Emadi, M. D. Bellar, and M. Ehsani, “Analysis of power electronic converters using the generalized state space averaging approach,” IEEE Transactions on Circuits and Systems I: Fundamental Theory and Applications, vol. 44, no. 8, pp. 767-770, Aug. 1997. Y. Cui, D. Wang, and A. Emadi, “Three-phase dual active bridge converter design considerations,” in Proc. 43rd Annual Conference of the IEEE Industrial Electronics Society (IECON’17), Beijing, China, Oct./Nov. 2017, pp. 4696-4701, Digital Object Identifier 10.1109/IECON.2017.8216809. D. Wang, M. Preindl, F. Peng, J. Ye, and A. Emadi, “DC-bus design with hybrid capacitor bank in single-phase PV inverters,” in Proc. 43rd Annual Conference of the IEEE Industrial Electronics Society (IECON’17), Beijing, China, Oct./Nov. 2017, pp. 2425-2430, Digital Object Identifier 10.1109/IECON.2017.8216408. P. Kollmeyer, M. Wootton, J. Reimers, T. Stiene, E. Chemali, M. Wood, and A. Emadi, “Optimal performance of a full scale Li-ion battery and Li-ion capacitor hybrid energy storage system for a plug-in hybrid vehicle,” in Proc. 2017 IEEE Energy Conversion Congress and Expo (ECCE’17), Cincinnati, OH, Oct. 2017, pp. 572-577, Digital Object Identifier 10.1109/ECCE.2017.8095834. A. Lajunen, T. Hadden, R. Hirmiz, J. Cotton, and A. Emadi, “Thermal energy storage for increasing heating performance and efficiency in electric vehicles,” in Proc. 2017 IEEE Transportation Electrification Conference and Expo (ITEC’17), Chicago, IL, June 2017, pp. 95-100, Digital Object Identifier 10.1109/ITEC.2017.7993253. P. Kollmeyer, A. Hackl, and A. Emadi, “Li-ion battery model performance for automotive drive cycles with current pulse and ESI parameterization,” in Proc. 2017 IEEE Transportation Electrification Conference and Expo (ITEC’17), Chicago, IL, June 2017, pp. 486-492, Digital Object Identifier 10.1109/ITEC.2017.7993319. D. Schumacher, B. Bilgin, and A. Emadi, “Inductor design for multiphase bidirectional DC-DC boost converter for an EV/HEV application,” in Proc. 2017 IEEE Transportation Electrification Conference and Expo (ITEC’17), Chicago, IL, June 2017, pp. 221-228, Digital Object Identifier 10.1109/ITEC.2017.7993275. M. Eull, M. Preindl, and A. Emadi, “A stochastic optimization technique for discrete DC capacitor bank design,” in Proc. 2017 IEEE Transportation Electrification Conference and Expo (ITEC’17), Chicago, IL, June 2017, pp. 9-14, Digital Object Identifier 10.1109/ITEC.2017.7993239. Y. Cui, R. Hou, P. Malysz, and A. Emadi, “Improved combined modulation strategy for dual active bridge converter in electrified vehicles,” in Proc. 2017 IEEE Transportation Electrification Conference and Expo (ITEC’17), Chicago, IL, June 2017, pp. 101-107, Digital Object Identifier 10.1109/ITEC.2017.7993254. E. Chemali and A. Emadi, “On the concept of a novel reconfigurable multi-source inverter,” in Proc. 2017 IEEE Transportation Electrification Conference and Expo (ITEC’17), Chicago, IL, June 2017, pp. 707-713, Digital Object Identifier 10.1109/ITEC.2017.7993356. B. Howey, E. Rowan, B. Bilgin, and A. Emadi, “Thermal trade-off analysis of an exterior rotor e-bike switched reluctance motor,” in Proc. 2017 IEEE Transportation Electrification Conference and Expo (ITEC’17), Chicago, IL, June 2017, pp. 605-612, Digital Object Identifier 10.1109/ITEC.2017.7993339. S. M. Castano, J. W. Jiang, B. Bilgin, A. Sathyan, H. Dadkhah, and A. Emadi, “An investigation of slot-pole combinations for interior permanent magnet synchronous machines with different magnet topologies,” in Proc. 2017 IEEE International Electric Machines and Drives Conference (IEMDC’17), Miami, FL, May 2017, pp. 1-8, Digital Object Identifier 10.1109/IEMDC.2017.8002414. J. W. Jiang, B. Bilgin, A. Sathyan, H. Dadkhah, and A. Emadi, “Noise and vibration reduction for IPMSM by using rotor circumferential slits,” in Proc. 2017 IEEE International Electric Machines and Drives Conference (IEMDC’17), Miami, FL, May 2017, pp. 1-8, Digital Object Identifier 10.1109/IEMDC.2017.8002413. B. Agrawal, M. Preindl, and A. Emadi, “Turn-off energy minimization for soft-switching power converters with wide bandgap devices,” in Proc. 2017 IEEE International Conference on Industrial Technology (ICIT’17), Toronto, Canada, March 2017, pp. 236-241, Digital Object Identifier 10.1109/ICIT.2017.7913089. B. Agrawal, M. Preindl, B. Bilgin, and A. Emadi, “Estimating switching losses for SiC MOSFETs with non-flat Miller plateau region,” in Proc. 2017 IEEE Applied Power Electronics Conference and Exposition (APEC’17), Tampa, FL, March 2017, pp. 2664-2670, Digital Object Identifier 10.1109/APEC.2017.7931075. S. Nalakath, M. Preindl, B. Nahidmobarakeh, and A. Emadi, “Low speed position estimation scheme for model predictive control with finite control set,” in Proc. 42nd Annual Conference of the IEEE Industrial Electronics Society (IECON’16), Florence, Italy, Oct. 2016. T. Hadden, J. W. Jiang, B. Bilgin, Y. Yang, A. Sathyan, H. Dadkhah, and A. Emadi, “A review of shaft voltages and bearing currents in EV and HEV motors,” in Proc. 42nd Annual Conference of the IEEE Industrial Electronics Society (IECON’16), Florence, Italy, Oct. 2016. J. Lin, T. Lambert, Y. Yang, B. Bilgin, R. Lankin, and A. Emadi, “A novel axial flux switched reluctance motor with multi-level air gap geometry,” in Proc. 2016 IEEE Electrical Power and Energy Conference (EPEC’16), Ottawa, Canada, Oct. 2016. F. Peng, J. Ye, and A. Emadi, “Position sensorless control of switched reluctance motor based on numerical method,” in Proc. 2016 IEEE Energy Conversion Congress and Expo (ECCE’16), Milwaukee, WI, Sept. 2016. J. Guo and A. Emadi, “DC-link current ripple component RMS value estimation considering anti-parallel diode reverse recovery in voltage source inverters,” in Proc. 2016 IEEE Energy Conversion Congress and Expo (ECCE’16), Milwaukee, WI, Sept. 2016. M. Kasprzak, J. W. Jiang, B. Bilgin, and A. Emadi, “Thermal analysis of a three-phase 24/16 switched reluctance machine used in HEVs,” in Proc. 2016 IEEE Energy Conversion Congress and Expo (ECCE’16), Milwaukee, WI, Sept. 2016. W. Wang, P. Malysz, K. Khan, L. Gauchia, and A. Emadi, “Modeling, parameterization, and benchmarking of a Lithium ion electric bicycle battery,” in Proc. 2016 IEEE Energy Conversion Congress and Expo (ECCE’16), Milwaukee, WI, Sept. 2016. R. Hou and A. Emadi, “A primary full-integrated active filter auxiliary power module for electrified vehicle applications with single-phase onboard chargers,” in Proc. 2016 IEEE Energy Conversion Congress and Expo (ECCE’16), Milwaukee, WI, Sept. 2016. Y. Miao, M. Preindl, H. Ge, B. Cheng, and A. Emadi, “MTPA fitting and torque estimation technique based on a new flux-linkage model for interior permanent magnet synchronous machines,” in Proc. 2016 IEEE Transportation Electrification Conference and Expo (ITEC’16), Dearborn, MI, June 2016. X. Wang, F. Peng, and A. Emadi, “A position sensorless control of switched reluctance motors based on sliding-mode observer,” in Proc. 2016 IEEE Transportation Electrification Conference and Expo (ITEC’16), Dearborn, MI, June 2016. S. M. Castano, J. Maixe-Altes, and A. Emadi, “Development and performance analysis of a switched reluctance motor drive for an automotive air-conditioning system,” in Proc. 2016 IEEE Transportation Electrification Conference and Expo (ITEC’16), Dearborn, MI, June 2016. R. Yang, N. Schofield, and A. Emadi, “Comparative study between interior and surface permanent magnet traction machine designs,” in Proc. 2016 IEEE Transportation Electrification Conference and Expo (ITEC’16), Dearborn, MI, June 2016. M. Eull, M. Preindl, and A. Emadi, “Analysis and design of a high efficiency, high power density three-phase silicon carbide inverter,” in Proc. 2016 IEEE Transportation Electrification Conference and Expo (ITEC’16), Dearborn, MI, June 2016. J. Lin, P. Suntharalingam, N. Schofield, and A. Emadi, “Comparison of high-speed switched reluctance machines with conventional and toroidal windings,” in Proc. 2016 IEEE Transportation Electrification Conference and Expo (ITEC’16), Dearborn, MI, June 2016. E. Fairall, C. Rheberhegen, E. Rowan, J. Lo, B. Bilgin, and A. Emadi, “Maximizing thermal effectiveness and minimizing parasitic loss in a liquid cooled switched reluctance machine,” in Proc. 2016 IEEE Transportation Electrification Conference and Expo (ITEC’16), Dearborn, MI, June 2016. E. Fairall, N. Schofield, and A. Emadi, “Noise and electromagnetic comparison of a 3-phase 12/8 and a 12/10 switched reluctance machine,” in Proc. 2016 IEEE Transportation Electrification Conference and Expo (ITEC’16), Dearborn, MI, June 2016. D. Schumacher, P. Magne, M. Preindl, B. Bilgin, and A. Emadi, “Closed loop control of a six phase interleaved bidirectional dc-dc boost converter for an EV/HEV application,” in Proc. 2016 IEEE Transportation Electrification Conference and Expo (ITEC’16), Dearborn, MI, June 2016. R. Gu, P. Malysz, D. Wang, W. Wang, H. Yang, and A. Emadi, “On the design of a direct cell coupled hybrid energy storage system for plug-in hybrid electric vehicles,” in Proc. 2016 IEEE Transportation Electrification Conference and Expo (ITEC’16), Dearborn, MI, June 2016. W. Wang, P. Malysz, D. Wang, R. Gu, H. Yang, and A. Emadi, “Efficient multi-cell SOC estimation for electrified vehicle battery packs,” in Proc. 2016 IEEE Transportation Electrification Conference and Expo (ITEC’16), Dearborn, MI, June 2016. W. Wang, D. Wang, X. Wang, T. Li, R. Ahmed, S. Habibi, and A. Emadi, “Comparison of Kalman filter-based state of charge estimation strategies for Li-ion batteries,” in Proc. 2016 IEEE Transportation Electrification Conference and Expo (ITEC’16), Dearborn, MI, June 2016. Q. Yu, B. Bilgin, and A. Emadi, “Design considerations of switched reluctance machines with high power density,” in Proc. 2016 IEEE Transportation Electrification Conference and Expo (ITEC’16), Dearborn, MI, June 2016. B. Agrawal, M. Adam, B. Vadala, H. Koke, L. McCurlie, M. Preindl, R. Ahmed, and A. Emadi, “Non-dissipative cell balancing using half-bridge switching circuit,” in Proc. 2016 IEEE Transportation Electrification Conference and Expo (ITEC’16), Dearborn, MI, June 2016. R. Yang, Y. Yang, B. Bilgin, N. Schofield, A. Sathyan, H. Dadkhah, and A. Emadi, “Analysis of an IPM machine with grain boundary diffusion processed magnets,” in Proc. 8th IET International Conference on Power Electronics, Machines and Drives (PEMD’2016), Glasgow, Scotland, UK, April 2016. L. Dorn-Gomba, P. Magne, and A. Emadi, “On the concept of the multi-source inverter,” in Proc. 2016 IEEE Applied Power Electronics Conference and Exposition (APEC’16), Long Beach, CA, March 2016. R. Hou and A. Emadi, “Dual active bridge-based full-integrated active filter auxiliary power module for electrified vehicle applications with single-phase onboard chargers,” in Proc. 2016 IEEE Applied Power Electronics Conference and Exposition (APEC’16), Long Beach, CA, March 2016. E. Chemali, L. McCurlie, B. Howey, T. Stiene, M. M. Rahman, M. Preindl, R. Ahmed, and A. Emadi, “Minimizing battery wear in a hybrid energy storage system using a linear quadratic regulator,” in Proc. 41st Annual Conference of the IEEE Industrial Electronics Society (IECON’15), Yokohama, Japan, Nov. 2015. K. P. Divakarla, S. Nalakath, M. Drennan, R. Ahmed, A. Emadi, and S. Razavi, “Battery characterization and state-of-charge prediction for different journey conditions with the help of the journey mapping concept,” in Proc. 41st Annual Conference of the IEEE Industrial Electronics Society (IECON’15), Yokohama, Japan, Nov. 2015. R. Rodriguez, M. Preindl, A. Emadi, and J. Cotton, “Maximum power point tracking for thermoelectric generators with high frequency injection,” in Proc. 41st Annual Conference of the IEEE Industrial Electronics Society (IECON’15), Yokohama, Japan, Nov. 2015. S. Nalakath, M. Preindl, Y. Yang, B. Bilgin, B. Cheng, and A. Emadi, “Modeling and analysis of core losses of an IPM machine for online estimation purposes,” in Proc. 41st Annual Conference of the IEEE Industrial Electronics Society (IECON’15), Yokohama, Japan, Nov. 2015. Y. Sun, M. Preindl, S. Sirouspour, and A. Emadi, “Nonlinear modeling and design of initial position estimation and polarity detection of IPM drives,” in Proc. 41st Annual Conference of the IEEE Industrial Electronics Society (IECON’15), Yokohama, Japan, Nov. 2015. C. Rhebergen, B. Bilgin, A. Emadi, E. Rowan, and J. Lo, “Enhancement of electric motor thermal management through axial cooling methods: a materials approach,” in Proc. 2015 IEEE Energy Conversion Congress and Exposition (ECCE’15), Montreal, QC, Canada, Sept. 2015. S. Nalakath, M. Preindl, B. Bilgin, B. Cheng, and A. Emadi, “Modeling and analysis of AC resistance of a permanent magnet machine for online estimation purposes,” in Proc. 2015 IEEE Energy Conversion Congress and Exposition (ECCE’15), Montreal, QC, Canada, Sept. 2015. H. Ge, B. Bilgin, and A. Emadi, “Global loss minimization control of PMSM considering cross-coupling and saturation,” in Proc. 2015 IEEE Energy Conversion Congress and Exposition (ECCE’15), Montreal, QC, Canada, Sept. 2015. R. Hou and A. Emadi, “Evaluation of integrated active filter auxiliary power modules in electrified vehicle applications,” in Proc. 2015 IEEE Energy Conversion Congress and Exposition (ECCE’15), Montreal, QC, Canada, Sept. 2015. J. Lin, P. Suntharalingam, F. Peng, N. Schofield, and A. Emadi, “High-speed switched reluctance machine design with toroidal winding,” in Proc. 2015 IEEE Energy Conversion Congress and Exposition (ECCE’15), Montreal, QC, Canada, Sept. 2015. P. Magne, P. Liu, B. Bilgin, and A. Emadi, “Investigation of impact of number of phases in interleaved dc-dc boost converter,” in Proc. 2015 IEEE Transportation Electrification Conference and Expo (ITEC’15), Dearborn, MI, June 2015. R. Gu, P. Malysz, M. Preindl, H. Yang, and A. Emadi, “Linear programming based design and analysis of battery pack balancing topologies,” in Proc. 2015 IEEE Transportation Electrification Conference and Expo (ITEC’15), Dearborn, MI, June 2015. W. Wang, J. Ye, P. Malysz, H. Yang, and A. Emadi, “Sensitivity analysis of Kalman filter based Capacity estimation for electric vehicles,” in Proc. 2015 IEEE Transportation Electrification Conference and Expo (ITEC’15), Dearborn, MI, June 2015. F. Peng, J. Ye, and A. Emadi, “An asymmetric three-level neutral point diode clamped converter for switched reluctance motor drives,” in Proc. 2015 IEEE Transportation Electrification Conference and Expo (ITEC’15), Dearborn, MI, June 2015. F. Peng, J. Lin, J. Ye, and A. Emadi, “Optimal calculation method for control of switched reluctance motor,” in Proc. 2015 IEEE Transportation Electrification Conference and Expo (ITEC’15), Dearborn, MI, June 2015. H. Ge, J. Guo, B. Bilgin, J. Ye, V. Loukanov, and A. Emadi, “A reduced-order model based induction machine self-commissioning method,” in Proc. 2015 IEEE Transportation Electrification Conference and Expo (ITEC’15), Dearborn, MI, June 2015. J. Guo, H. Ge, J. Ye, and A. Emadi, “Improved method for MOSFET voltage rise-time and fall-time estimation in inverter switching loss calculation,” in Proc. 2015 IEEE Transportation Electrification Conference and Expo (ITEC’15), Dearborn, MI, June 2015. K. P. Divakarla, A. Emadi, and S. Razavi, “Journey mapping: a new approach for defining automotive drive cycles,” in Proc. 2015 IEEE Transportation Electrification Conference and Expo (ITEC’15), Dearborn, MI, June 2015. L. McCurlie, M. Preindle, P. Malysz, and A. Emadi, “Simplified control for redistributive systems using bidirectional Flyback converters,” in Proc. 2015 IEEE Transportation Electrification Conference and Expo (ITEC’15), Dearborn, MI, June 2015. R. Gu, P. Malysz, and A. Emadi, “A novel battery/ultracapacitor hybrid energy storage system analysis based on physics-based Lithium-ion battery modeling,” in Proc. 2015 IEEE Transportation Electrification Conference and Expo (ITEC’15), Dearborn, MI, June 2015. R. Hou and A. Emadi, “Integrated active power filter auxiliary power modules for electrified vehicle applications with single-phase on-board chargers,” in Proc. 2015 IEEE Transportation Electrification Conference and Expo (ITEC’15), Dearborn, MI, June 2015. E. W. Fairall, B. Bilgin, and A. Emadi, “State-of-the-art high-speed switched reluctance machines,” in Proc. 2015 IEEE International Electric Machines & Drives Conference (IEMDC’15), Coeur d’Alene, ID, May 2015. J. W. Jiang, B. Bilgin, B. Howey, and A. Emadi, “Design optimization of switched reluctance machine using genetic algorithm,” in Proc. 2015 IEEE International Electric Machines & Drives Conference (IEMDC’15), Coeur d’Alene, ID, May 2015. R. Hou, P. Magne, B. Bilgin, and A. Emadi, “A topological evaluation of isolated DC/DC converters for auxiliary power modules in electrified vehicle applications,” in Proc. 2015 IEEE Applied Power Electronics Conference and Exposition (APEC’15), Charlotte, NC, March 2015. H. Li, E. Fairall, B. Bilgin, and A. Emadi, “Evaluation of performance parameters of a high-speed high-power switched reluctance motor drive,” in Proc. 2015 IEEE Applied Power Electronics Conference and Exposition (APEC’15), Charlotte, NC, March 2015. M. T. E. Heinrich, F. Kelch, P. Magne, and A. Emadi, “Investigation of regenerative braking on the energy consumption of an electric taxiing system for a single aisle midsize aircraft,” in Proc. 40th Annual Conference of the IEEE Industrial Electronics Society (IECON’14), Dallas, TX, Oct.-Nov. 2014. H. Ye, P. Magne, B. Bilgin, S. Wirasingha, and A. Emadi, “A comprehensive evaluation of bidirectional boost converter topologies for electrified vehicle applications,” in Proc. 40th Annual Conference of the IEEE Industrial Electronics Society (IECON’14), Dallas, TX, Oct.-Nov. 2014. Z. Sun, F. Peng, P. Magne, and A. Emadi, “A phase shifted full bridge converter with ZCS synchronous rectifier for auxiliary power unit,” in Proc. 40th Annual Conference of the IEEE Industrial Electronics Society (IECON’14), Dallas, TX, Oct.-Nov. 2014. R. Marlow, N. Schofield, C. Cossar, and A. Emadi, “A continuous toroidal winding SRM with 6 or 12 switch DC Converter,” in Proc. 2014 IEEE Energy Conversion Congress and Exposition (ECCE’14), Pittsburgh, PA, Sept. 2014. Y. Yang and A. Emadi, “Coupled switched reluctance machine modeling and simulations,” in Proc. 2014 IEEE Transportation Electrification Conference and Expo Asia & Pacific (2014 ITEC Asia-Pacific), Beijing, China, Aug.-Sept. 2014. R. Hou, Y. Yang and A. Emadi, “Hybrid electric locomotive powertrains,” in Proc. 2014 IEEE Transportation Electrification Conference and Expo Asia & Pacific (2014 ITEC Asia-Pacific), Beijing, China, Aug.-Sept. 2014. R. Hou, P. Magne, B. Bilgin, S. Wirasingha, and A. Emadi, “Dynamic analysis of the interaction between an interleaved boost converter with coupled inductor and a constant power load,” in Proc. 2014 IEEE Transportation Electrification Conference and Expo (ITEC’14), Dearborn, MI, June 2014. M. Khan, B. Bilgin, P. Magne, S. Wirasingha, and A. Emadi, “Laminated busbar design criteria in power converters for electrified powertrain applications,” in Proc. 2014 IEEE Transportation Electrification Conference and Expo (ITEC’14), Dearborn, MI, June 2014. K. Yang, J. Guo, H. Ge, B. Bilgin, V. Loukanov, and A. Emadi, “Transient electro-thermal analysis for a MOSFET-based traction inverter,” in Proc. 2014 IEEE Transportation Electrification Conference and Expo (ITEC’14), Dearborn, MI, June 2014. J. Ye and A. Emadi, “Power electronic converters for 12/8 switched reluctance motor drives: a comparative analysis,” in Proc. 2014 IEEE Transportation Electrification Conference and Expo (ITEC’14), Dearborn, MI, June 2014. H. Ye and A. Emadi, “Current sensor fault-tolerant operation of dual traction inverters using six-phase current reconstruction technique,” in Proc. 2014 IEEE Transportation Electrification Conference and Expo (ITEC’14), Dearborn, MI, June 2014. H. Ye, K. Yang, H. Ge, P. Magne, and A. Emadi, “A drive cycle based electro-thermal analysis of traction inverters,” in Proc. 2014 IEEE Transportation Electrification Conference and Expo (ITEC’14), Dearborn, MI, June 2014. F. Peng and A. Emadi, “A digital PWM current controller for switched reluctance motor drives,” in Proc. 2014 IEEE Transportation Electrification Conference and Expo (ITEC’14), Dearborn, MI, June 2014. X. Yu, P. Malysz, S. Sirouspour, and A. Emadi, “Optimal microgrid component sizing using mixed integer linear programming,” in Proc. 2014 IEEE Transportation Electrification Conference and Expo (ITEC’14), Dearborn, MI, June 2014. Y. Yang, N. Schofield, and A. Emadi, “Integrated double-rotor switched reluctance machine magnetic design and coupled simulations,” in Proc. 2014 IEEE International Magnetics Conference (INTERMAG’14), Dresden, Germany, May 2014. H. Ye and A. Emadi, “An interleaving scheme to reduce DC-link current harmonics of dual traction inverters in hybrid electric vehicles,” in Proc. 2014 IEEE Applied Power Electronics Conference and Exposition (APEC’14), Fort Worth, TX, March 2014. J. Lin, N. Schofield, and A. Emadi, “External-rotor 6-10 switched reluctance motor for an electric bicycle,” in Proc. 39th Annual Conference of the IEEE Industrial Electronics Society (IECON’13), Vienna, Austria, Nov. 2013. P. Malysz, S. Sirouspour, and A. Emadi, “MILP-based rolling horizon control for microgrids with battery storage,” in Proc. 39th Annual Conference of the IEEE Industrial Electronics society (IECON’13), Vienna, Austria, Nov. 2013. P. K. Toor, A. Emadi, and H. Kojori, “Analysis and design of a low voltage active electric accumulator,” in Proc. 2013 IEEE Transportation Electrification Conference and Expo (ITEC’13), Dearborn, MI, June 2013. A. Lateef, A. Emadi, and H. Kojori, “Analysis and design of a high voltage active electric accumulator,” in Proc. IEEE Transportation Electrification Conference and Expo (ITEC’13), Dearborn, MI, June 2013. A. Ravichandran, P. Malysz, S. Sirouspour, and A. Emadi, “The critical role of microgrids in transition to a smarter grid: a technical review,” in Proc. IEEE Transportation Electrification Conference and Expo (ITEC’13), Dearborn, MI, June 2013. H. Ye, Y. Yang, and A. Emadi, “Traction inverters in hybrid electric vehicles,” in Proc. 2012 IEEE Transportation Electrification Conference and Expo, Dearborn, MI, June 2012. H. Ye, B. Bilgin, and A. Emadi, “Reduced-parts three-phase inverters: a comparative study,” in Proc. 2012 IEEE Transportation Electrification Conference and Expo, Dearborn, MI, June 2012. C.-H. Tu and A. Emadi, “A novel series-parallel reconfigurable hybrid energy storage system for electrified vehicles,” in Proc. 2012 IEEE Transportation Electrification Conference and Expo, Dearborn, MI, June 2012. Y. Xue, S. Sirouspour, and A. Emadi, “Towards cognitive energy management system of microgrid in enabling transportation electrification,” in Proc. 2012 IEEE Transportation Electrification Conference and Expo, Dearborn, MI, June 2012. X. E. Yu, Y. Xue, S. Sirouspour, and A. Emadi, “Microgrid and transportation electrification: a review,” in Proc. 2012 IEEE Transportation Electrification Conference and Expo, Dearborn, MI, June 2012. J. Ye, B. Bilgin, and A. Emadi, “Comparative evaluation of power converters for 6/4 and 6/10 switched reluctance machines,” in Proc. 2012 IEEE Transportation Electrification Conference and Expo, Dearborn, MI, June 2012. A. Mitra and A. Emadi, “On the suitability of large switched reluctance machines for propulsion applications,” in Proc. 2012 IEEE Transportation Electrification Conference and Expo, Dearborn, MI, June 2012. B. Bilgin, A. Emadi, and M. Krishnamurthy, “Switched reluctance generator with higher number of rotor poles than stator poles,” in Proc. 2012 IEEE Transportation Electrification Conference and Expo, Dearborn, MI, June 2012. G. Nielson and A. Emadi, “Hybrid energy storage systems for high-performance hybrid electric vehicles,” in Proc. 2011 IEEE Vehicle Power and Propulsion Conference, Chicago, IL, Sept. 2011. Y. Yang and A. Emadi, “Integrated electro-mechanical transmission systems in hybrid electric vehicles,” in Proc. 2011 IEEE Vehicle Power and Propulsion Conference, Chicago, IL, Sept. 2011. B. Bilgin, A. Emadi, and M. Krishnamurthy, “Comparative evaluation of 6/8 and 6/10 switched reluctance machines for traction application in plug-in hybrid electric vehicles,” in Proc. 2011 IEEE International Electric Machines and Drives Conference, Niagara Falls, Canada, May 2011. B. Shao and A. Emadi, “A digital control for switched reluctance generators,” in Proc. 2011 IEEE International Conference on Mechatronics, Istanbul, Turkey, April 2011. A. Emadi and M. Ehsani, “An education program for transportation electrification,” in Proc. 2010 IEEE Vehicle Power and Propulsion Conference, Lille, France, Sept. 2010. B. Shao and A. Emadi, “A digital PWM control for switched reluctance motor drives,” in Proc. 2010 IEEE Vehicle Power and Propulsion Conference, Lille, France, Sept. 2010. J. Sibley and A. Emadi, “A control analysis of high-performance hybrid electric vehicles,” in Proc. 2010 IEEE Vehicle Power and Propulsion Conference, Lille, France, Sept. 2010. Y. Gurkaynak, A. Khaligh, and A. Emadi, “Neural adaptive control strategy for hybrid electric vehicles with parallel powertrain,” in Proc. 2010 IEEE Vehicle Power and Propulsion Conference, Lille, France, Sept. 2010. B. Shao, S. M. Lukic, and A. Emadi, “A digital current control for switched reluctance motor drives,” in Proc. 2010 IEEE International Symposium on Industrial Electronics (ISIE’10), Bari, Italy, July 2010. B. Bilgin, A. Emadi, and M. Krishnamurthy, “Design considerations for switched reluctance machines with higher number of rotor poles for solar-assisted plug-in electric auto rickshaw,” in Proc. 2010 IEEE International Symposium on Industrial Electronics (ISIE’10), Bari, Italy, July 2010. B. Bilgin, A. Emadi, and M. Krishnamurthy, “Design considerations for a universal input battery charger circuit for PHEV applications,” in Proc. 2010 IEEE International Symposium on Industrial Electronics (ISIE’10), Bari, Italy, July 2010. N. Milivojevic, M. Krishnamurthy, and A. Emadi, “Digital control of brushless DC generators,” in Proc. 25th Annual IEEE Applied Power Electronics Conference and Exposition (APEC’10), Palm Springs, CA, Feb. 2010. P. Mulhall and A. Emadi, “Comprehensive simulations and comparative analysis of the electric propulsion motor for a solar/battery electric auto rickshaw three-wheeler,” in Proc. 35th Annual Conference of the IEEE Industrial Electronics Society (IECON’09), Porto, Portugal, Nov. 2009. P. C. Desai, M. Krishnamurthy, N. Schofield, and A. Emadi, “Switched reluctance machines with higher rotor poles than stator poles for improved output torque characteristics,” in Proc. 35th Annual Conference of the IEEE Industrial Electronics Society (IECON’09), Porto, Portugal, Nov. 2009. P. C. Desai, M. Krishnamurthy, N. Schofield, and A. Emadi, “Switched reluctance machine with higher number of rotor poles for high volume low cost manufacturing,” in Proc. 35th Annual Conference of the IEEE Industrial Electronics Society (IECON’09), Porto, Portugal, Nov. 2009. I. Stamenkovic, N. Schofield, N. Milivojevic, M. Krishnamurthy, and A. Emadi, “A novel modular permanent-magnet electric machine design,” in Proc. 35th Annual Conference of the IEEE Industrial Electronics Society (IECON’09), Porto, Portugal, Nov. 2009. A. Govindaraj, S. Lukic, and A. Emadi, “A novel scheme for optimally combining batteries and ultracapacitors,” in Proc. 2009 IEEE Energy Conversion Congress and Exposition, San Jose, CA, Sept. 2009. J. Cao and A. Emadi, “A new battery/ultra-capacitor hybrid energy storage system for electric, hybrid and plug-in hybrid electric vehicles,” in Proc. 2009 IEEE Vehicle Power and Propulsion Conference, Dearborn, MI, Sept. 2009. P. Mulhall, S. M. Lukic, S. G. Wirasingha, Y.-J. Lee, and A. Emadi, “Solar/battery smart hybrid auto rickshaw three-wheeler,” in Proc. 2009 IEEE Vehicle Power and Propulsion Conference, Dearborn, MI, Sept. 2009. G. T. Nielson, J. Sibley, S. G. Wirasingha, A. I. Antoniou, and A. Emadi, “Formula Hybrid racing at Illinois Institute of Technology: academic year 2008/2009,” in Proc. 2009 IEEE Vehicle Power and Propulsion Conference, Dearborn, MI, Sept. 2009. I. Stamenkovic, N. Milivojevic, M. Krishnamurthy, N. Schofield, and A. Emadi, “Ironless machine design and novel digital control for automotive applications,” in Proc. 2009 IEEE Vehicle Power and Propulsion Conference, Dearborn, MI, Sept. 2009. A. I. Antoniou and A. Emadi, “Adaptive control strategy for hybrid electric vehicles,” in Proc. 2009 IEEE Vehicle Power and Propulsion Conference, Dearborn, MI, Sept. 2009. Y. Gurkaynak, A. Khaligh, and A. Emadi, “State-of-the-art power management algorithms for hybrid electric vehicles,” in Proc. 2009 IEEE Vehicle Power and Propulsion Conference, Dearborn, MI, Sept. 2009. S. G. Wirasingha and A. Emadi, “Classification and review of control strategies for plug-in hybrid electric vehicles,” in Proc. 2009 IEEE Vehicle Power and Propulsion Conference, Dearborn, MI, Sept. 2009. S. G. Wirasingha and A. Emadi, “Pihef: plug-in hybrid electric factor,” in Proc. 2009 IEEE Vehicle Power and Propulsion Conference, Dearborn, MI, Sept. 2009. P. C. Desai, M. Krishnamurthy, N. Schofield, and A. Emadi, “Design and performance evaluation of a novel 6/10 switched reluctance machine,” in Proc. 2009 IEEE International Electric Machines and Drives Conference, Miami, FL, May 2009. A. Sathyan, M. Krishnamurthy, N. Milivojevic, and A. Emadi, “A low-cost digital control scheme for brushless DC motor drives in domestic applications,” in Proc. 2009 IEEE International Electric Machines and Drives Conference, Miami, FL, May 2009. I. Stamenkovic, N. Milivojevic, N. Schofield, and A. Emadi, “Existing and novel generator topologies suitable for direct drive small wind systems,” Presented at the 2009 WINDPOWER Conference and Exhibition, Chicago, IL, May 2009. N. Milivojevic, I. Stamenkovic, N. Schofield, and A. Emadi, “Novel low-cost digital control for small wind generators,” Presented at the 2009 WINDPOWER Conference and Exhibition, Chicago, IL, May 2009. Y.-J. Lee, A. Khaligh, and A. Emadi, “A compensation technique for smooth transitions in non-inverting buck-boost converter,” in Proc. 2009 IEEE Applied Power Electronics Conference, Washington, DC, Feb. 2009. Y.-J. Lee and A. Emadi, “Phase shift switching scheme for DC/DC boost converters with switches in parallel,” in Proc. 2008 IEEE Vehicle Power and Propulsion Conference, Harbin, China, Sept. 2008. J. Cao, N. Schofield, and A. Emadi, “Battery balancing methods: a comprehensive review,” in Proc. 2008 IEEE Vehicle Power and Propulsion Conference, Harbin, China, Sept. 2008. S. G. Wirasingha, N. Schofield, and A. Emadi, “Feasibility analysis of converting a Chicago Transit Authority (CTA) transit bus to a plug-in hybrid electric vehicle,” in Proc. 2008 IEEE Vehicle Power and Propulsion Conference, Harbin, China, Sept. 2008. S. G. Wirasingha, N. Schofield, and A. Emadi, “Plug-in hybrid electric vehicle developments in the United States: trends, barriers, and economic feasibility,” in Proc. 2008 IEEE Vehicle Power and Propulsion Conference, Harbin, China, Sept. 2008. J. Sibley, J. Lewan, S. G. Wirasingha, and A. Emadi, “ACE Formula Hybrid Racing at Illinois Institute of Technology: academic year 2007/2008,” in Proc. 2008 IEEE Vehicle Power and Propulsion Conference, Harbin, China, Sept. 2008. S. G. Wirasingha, J. Sibley, S. Sadiq, N. Schofield, and A. Emadi, “Plug-in hybrid electric vehicle developments in the United States,” in Proc. 2008 European Ele-Drive Transportation Conference, Geneva, Switzerland, March 2008. S. G. Wirasingha, J. Sibley, N. Schofield, and A. Emadi, “Cost analysis of converting a Chicago Transit Authority (CTA) transit bus to a plug-in hybrid using a retrofit approach,” in Proc. 2008 European Ele-Drive Transportation Conference, Geneva, Switzerland, March 2008. Y.-J. Lee and A. Emadi, “Integrated bi-directional AC/DC and DC/DC converter for plug-in hybrid electric vehicle conversion,” in Proc. 2007 IEEE Vehicle Power and Propulsion Conference, Arlington, TX, Sept. 2007. J. Cao, D. Bharathan, and A. Emadi, “Efficiency and loss models for key electronic components of hybrid and plug-in hybrid electric vehicles’ electrical propulsion systems,” in Proc. 2007 IEEE Vehicle Power and Propulsion Conference, Arlington, TX, Sept. 2007. J. Wu, A. Emadi, M. J. Duoba, and T. P. Bohn, “Plug-in hybrid electric vehicles: testing, simulations, and analysis,” in Proc. 2007 IEEE Vehicle Power and Propulsion Conference, Arlington, TX, Sept. 2007. F. J. Perez-Pinal, C. Nunez, R. Alvarez, I. Cervantes, and A. Emadi, “Electric differential for traction applications,” in Proc. 2007 IEEE Vehicle Power and Propulsion Conference, Arlington, TX, Sept. 2007. S. M. Lukic, P. Mulhall, G. Choi, M. Naviwala, S. Nimmagadda, and A. Emadi, “Usage pattern development for three-wheel auto rickshaw taxis in India,” in Proc. 2007 IEEE Vehicle Power and Propulsion Conference, Arlington, TX, Sept. 2007. P. Mulhall, M. Naviwala, S. M. Lukic, J. Braband, and A. Emadi, “Entrepreneurial projects program at Illinois Institute of Technology: solar/battery hybrid three-wheel auto rickshaw for India,” in Proc. 2007 IEEE Vehicle Power and Propulsion Conference, Arlington, TX, Sept. 2007. S. G. Wirasingha, J. Sibley, A. I. Antoniou, A. Castaneda, and A. Emadi, “Formula hybrid racing at Illinois Institute of Technology: design to implementation,” in Proc. 2007 IEEE Vehicle Power and Propulsion Conference, Arlington, TX, Sept. 2007. S. Sadiq, E. Pritchard, K. Dulaney, and A. Emadi, “Plug-in hybrid market transformation by leveraging a niche market: school buses,” in Proc. 2007 IEEE Vehicle Power and Propulsion Conference, Arlington, TX, Sept. 2007. S. G. Wirasingha, R. Patel, A. Nagwan, and A. Emadi, “Entrepreneurial projects program at Illinois Institute of Technology: a case study for plug-in hybrid electric vehicles,” in Proc. 2007 IEEE Power Electronics Education Workshop, Orlando, FL, June 2007. (Invited) S. M. Lukic and A. Emadi, “State switching digital control technique for switched reluctance motor drives,” in Proc. 2007 IEEE International Electric Machines and Drives Conference, Antalya, Turkey, May 2007. S. S. Williamson, A. Khaligh, and A. Emadi, “Impact of utilizing selective motor topologies and control strategies on the overall performance of integrated starter alternator based HEVs,” in Proc. 2007 IEEE International Electric Machines and Drives Conference, Antalya, Turkey, May 2007. F. Rodriguez and A. Emadi, “A novel digital control technique for brushless DC motor drives: steady state and dynamics,” in Proc. 32nd Annual Conference of the IEEE Industrial Electronics Society (IECON’06), Paris, France, Nov. 2006. A. Khaligh, A. M. Rahimi, A. Chakraborty, and A. Emadi, “Analysis and stabilization of a DC/DC buck-boost converter feeding constant power loads in parallel with conventional loads in vehicular systems,” in Proc. 32nd Annual Conference of the IEEE Industrial Electronics Society (IECON’06), Paris, France, Nov. 2006. A. M. Rahimi, A. Khaligh, and A. Emadi, “Design and implementation of an analog constant power load for studying cascaded converters,” in Proc. 32nd Annual Conference of the IEEE Industrial Electronics Society (IECON’06), Paris, France, Nov. 2006. A. Chakraborty, A. Khaligh, and A. Emadi, “Combination of buck and boost modes to minimize transients in the output of a positive buck-boost converter,” in Proc. 32nd Annual Conference of the IEEE Industrial Electronics Society (IECON’06), Paris, France, Nov. 2006. A. Chakraborty and A. Emadi, “Modeling and control of a brushless DC motor with sinusoidal back EMF,” in Proc. 2006 Power Electronics Technology Conference, Long Beach, CA, Oct. 2006. A. Khaligh and A. Emadi, “Pulse adjustment, a novel digital control technique, for control of a DC/DC buck-boost converter operating in discontinuous conduction mode and driving constant power loads,” in Proc. 2006 IEEE Vehicle Power and Propulsion Conference, Windsor England, UK, Sept. 2006. A. Khaligh, A. M. Rahimi, and A. Emadi, “Sensitivity analyses of pulse adjustment control technique of a buck-boost converter operating in discontinuous conduction mode and driving constant power loads,” in Proc. 2006 IEEE Vehicle Power and Propulsion Conference, Windsor England, UK, Sept. 2006. A. M. Rahimi, A. Khaligh, and A. Emadi, “Sub-harmonic problem in multi-converter vehicular power systems,” in Proc. 2006 IEEE Vehicle Power and Propulsion Conference, Windsor England, UK, Sept. 2006. S. M. Lukic, S. G. Wirasingha, F. Rodriguez, J. Cao, and A. Emadi, “Power management of an ultra-capacitor/battery hybrid energy storage system in an HEV,” in Proc. 2006 IEEE Vehicle Power and Propulsion Conference, Windsor England, UK, Sept. 2006. S. S. Williamson, S. G. Wirasingha, and A. Emadi, “Comparative investigation of series and parallel hybrid electric drive trains for heavy-duty transit bus applications,” in Proc. 2006 IEEE Vehicle Power and Propulsion Conference, Windsor England, UK, Sept. 2006. (Invited) A. Emadi and S. S. Williamson, “Modern automotive power systems: advancements into the future,” in Proc. 12th International Power Electronics and Motion Control Conference, Portoroz, Slovenia, August/September 2006. (Invited) A. Khaligh, S. S. Williamson, and A. Emadi, “Control and stabilization of DC/DC buck-boost converters loaded by constant power loads in vehicular systems using a novel digital scheme,” in Proc. 12th International Power Electronics and Motion Control Conference, Portoroz, Slovenia, August/September 2006. A. Chakraborty, and A. Emadi, “Digital combination of buck and boost converters to control a positive buck-boost converter,” in Proc. 36th IEEE Power Electronics Specialists Conference, Jeju, Korea, June 2006. A. Khaligh and A. Emadi, “Modified pulse adjustment technique with variable states to control DC-DC converters operating in discontinuous conduction mode and driving constant power loads,” in Proc. 2006 IEEE Conference on Industrial Electronics and Applications, Marina Mandarin, Singapore, May 2006. A. Khaligh and A. Emadi, “Power alignment, new digital control approach, for a DC-DC flyback converter with constant power loads,” in Proc. 2006 IEEE Conference on Industrial Electronics and Applications, Marina Mandarin, Singapore, May 2006. A. Khaligh, N. J. Nagel, A. Emadi, “A detailed modular approach for induction machines considering iron loss,” in Proc. 31st Annual Conference of the IEEE Industrial Electronics Society (IECON’05), Raleigh, NC, Nov. 2005. A. Antoniou, J. Komyathy, J. Bench, and A. Emadi, “Modeling and simulation of various hybrid electric configurations of the high-mobility multipurpose wheeled vehicle (HMMWV),” in Proc. 2005 IEEE Vehicle Power and Propulsion Conference, Chicago, IL, Sept. 2005. M. Bhatia, O. Tisler, N. Panchal, M. Ozcan, B. Seaton, and A. Emadi, “A simulation study of hybrid electric Hummer H3: effects of drive train hybridization on performance and fuel economy,” in Proc. 2005 IEEE Vehicle Power and Propulsion Conference, Chicago, IL, Sept. 2005. S. S. Williamson, A. Khaligh, S. C. Oh, and A. Emadi, “Impact of energy storage device selection on the overall drive train efficiency and performance of heavy-duty hybrid vehicles,” in Proc. 2005 IEEE Vehicle Power and Propulsion Conference, Chicago, IL, Sept. 2005. Z. Nie and A. Emadi, “Buck-boost integrated forward converter,” in Proc. 11th European Conference on Power Electronics and Applications (EPE 2005), Dresden, Germany, Sept. 2005. S. Kaboli, S. M. R. Sadriyeh, A. Mohammadi, M. R. Zolghadri, and A. Emadi, “Application of packet control method for a high power high voltage Flyback converter to reduce noise influence,” in Proc. 11th European Conference on Power Electronics and Applications (EPE 2005), Dresden, Germany, Sept. 2005. C. Rivetta, G. A. Williamson, and A. Emadi, “Constant power loads and negative impedance instability in sea and undersea vehicles: statement of the problem and comprehensive large-signal solution,” in Proc. 2005 IEEE Electric Ship technologies Symposium, Philadelphia, PA, July 2005. A. Hasnazadeh, B. Asaei, and A. Emadi, “Optimum design of series hybrid electric buses by genetic algorithm,” in Proc. 2005 IEEE International Symposium on Industrial Electronics, Dubrovnik, Croatia, June 2005. Z. Nie and A. Emadi, “Buck integrated forward converter,” in Proc. 35th IEEE Power Electronics Specialists Conference, Recife, Brazil, June 2005. A. Chakraborty, S. S. Irudayaraj, and A. Emadi, “Micro and nano scale electric machines and applications of power electronics,” in Proc. 35th IEEE Power Electronics Specialists Conference, Recife, Brazil, June 2005. S. Kaboli, M. R. Zolghadri, and A. Emadi, “A fast flux search controller for DTC based induction motor drives,” in Proc. 35th IEEE Power Electronics Specialists Conference, Recife, Brazil, June 2005. (Invited) A. Emadi, “Grainger power electronics and motor drives laboratories at Illinois Institute of Technology,” in Proc. 2005 IEEE Power Engineering Society General Meeting, San Francisco, CA, June 2005. F. Rodriguez and A. Emadi, “A novel digital control technique for brushless DC motor drives: conduction-angle control,” in Proc. 2005 IEEE International Electric Machines and Drives Conference, San Antonio, TX, May 2005. P. C. Desai and A. Emadi, “A novel digital control technique for brushless DC motor drives: current control,” in Proc. 2005 IEEE International Electric Machines and Drives Conference, San Antonio, TX, May 2005. (Invited) S. S. Irudayaraj and A. Emadi, “Micromachines: principles of operation, dynamics, and control,” in Proc. 2005 IEEE International Electric Machines and Drives Conference, San Antonio, TX, May 2005. A. Emadi, Z. Nie, J. Mahdavi, and G. Chen, “Integrated power electronic converters: a novel concept applied to switching power supplies,” in Proc. 2005 Portable Power Developer’s Conference, San Jose, CA, April 2005. A. Emadi, J. Mahdavi, and G. Chen, “Digital versus analog control of switching power supplies,” in Proc. 2005 Portable Power Developer’s Conference, San Jose, CA, April 2005. A. Chakraborty and A. Emadi, “Applications and research on nano power electronics: an adventure beyond quantum electronics,” in Proc. 2005 Surface Engineering and Nanotechnology Conference, Dublin, Ireland, April 2005. A. Chakraborty and A. Emadi, “Nano power electronics: a breakthrough in the miniaturization of electronic systems and instruments,” in Proc. 2005 Surface Engineering and Nanotechnology Conference, Dublin, Ireland, April 2005. S. S. Irudayaraj and A. Emadi, “Understanding the electrical characteristics of micromotors,” in Proc. 2005 Surface Engineering and Nanotechnology Conference, Dublin, Ireland, April 2005. A. Chakraborty and A. Emadi, “Carbon nanotube based power electronic devices and equipment,” in Proc. 2005 Materials Research Society Spring Meeting, San Francisco, CA, March 2005. A. Chakraborty and A. Emadi, “Quantum sizing of power electronics: a trend towards miniaturization of power electronic systems and equipment,” in Proc. 2005 Materials Research Society Spring Meeting, San Francisco, CA, March 2005. M. M. Jalla, A. Emadi, G. A. Williamson, and B. Fahimi, “Modeling of multi-converter more electric ship power systems using the generalized state space averaging method,” in Proc. 30th Annual Conference of the IEEE Industrial Electronics Society (IECON’04), Busan, Korea, Nov. 2004. M. M. Jalla, A. Emadi, G. A. Williamson, and B. Fahimi, “Real time state estimation of multi-converter more electric ship power systems using the generalized state space averaging method,” in Proc. 30th Annual Conference of the IEEE Industrial Electronics Society (IECON’04), Busan, Korea, Nov. 2004. Z. Nie, A. Emadi, and Y. Chin, “A dSPACE control implementation for the standard three phase boost rectifier,” in Proc. 30th Annual Conference of the IEEE Industrial Electronics Society (IECON’04), Busan, Korea, Nov. 2004. S. Kaboli, M. R. Zolghadri, D. Roye, and A. Emadi, “Online optimal flux controller for DTC based induction motor drives,” in Proc. 30th Annual Conference of the IEEE Industrial Electronics Society (IECON’04), Busan, Korea, Nov. 2004. X. Jiang, J. Kim, and A. Emadi, “A power harmonics detection approach based on the least squares energy minimization principle,” in Proc. 30th Annual Conference of the IEEE Industrial Electronics Society (IECON’04), Busan, Korea, Nov. 2004. (Invited) A. Emadi and S. S. Williamson, “Electric, hybrid electric, and fuel cell vehicles into the future: opportunities and challenges,” in Proc. International Conference on Electrical Machines and Systems, Jeju Island, Korea, Nov. 2004. A. Chakraborty and A. Emadi, “Nano scale power electronics: advancements into the future,” in Proc. International Conference on Electrical Machines and Systems, Jeju Island, Korea, Nov. 2004. S. M. Lukic and A. Emadi, “Low voltage (42V) electrical power system for hybrid electric vehicles,” in Proc. International Conference on Electrical Machines and Systems, Jeju Island, Korea, Nov. 2004. F. Rodriguez, P. Desai, and A. Emadi, “A novel digital control technique for trapezoidal brush-less DC motor drives,” in Proc. Power Electronics Technology Conference, Chicago, IL, Nov. 2004. M. M. Jalla and A. Emadi, “Modeling of more electric ship power systems using the generalized state space averaging technique,” in Proc. Power Electronics Technology Conference, Chicago, IL, Nov. 2004. B. Agrawal, K. Ammigan, and A. Emadi, “FutureTruck competition hybrid electric vehicle technologies,” in Proc. 2004 IEEE Vehicular Power and Propulsion Conference, Paris, France, Oct. 2004. R. Jayabalan and A. Emadi, “5kW permanent magnet integrated starter/alternator for automobiles,” in Proc. 2004 IEEE Vehicular Power and Propulsion Conference, Paris, France, Oct. 2004. C. Rivetta, A. Emadi, G. A. Williamson, R. Jayabalan, and B. Fahimi, “Analysis and control of a buck DC-DC converter operating with constant power load in sea and undersea vehicles,” in Proc. IEEE 39th Industry Application Society Annual Meeting, Seattle, WA, Oct. 2004. M. Ferdowsi, A. Emadi, M. Telefus, and C. Davis, “A new control technique for DC-DC converters operating in discontinuous conduction mode,” in Proc. 11th International Power Electronics and Motion Control Conference, Riga, Latvia, Sept. 2004. Z. Nie, M. Ferdowsi, and A. Emadi, “Boost integrated push-pull rectifier with power factor correction and output voltage regulation using a new digital control technique,” in Proc. IEEE 2004 International Telecommunications Energy Conference, Chicago, IL, Sept. 2004. A. A. Aboulnaga and A. Emadi, “High performance bi-directional Cuk converter for telecommunication systems,” in Proc. IEEE 2004 International Telecommunications Energy Conference, Chicago, IL, Sept. 2004. A. A. Aboulnaga and A. Emadi, “Simplified simulation and modeling technique for integrated magnetic components in power electronic converters,” in Proc. IEEE 2004 International Telecommunications Energy Conference, Chicago, IL, Sept. 2004. Z. Nie and A. Emadi, “Integrated converters for switched reluctance motor drives,” in Proc. 2004 International Power Electronics and Motion Control Conference, Xi’an, China, Aug. 2004. A. Nasiri, V. S. Rimmalapudi, A. Emadi, D. J. Chmielewski, and S. Al-Hallaj, “Active control of a hybrid fuel cell-battery system,” in Proc. 2004 International Power Electronics and Motion Control Conference, Xi’an, China, Aug. 2004. M. Ferdowsi, Z. Nie, and A. Emadi, “A new estimative current mode control technique for DC-DC converters operating in discontinuous conduction mode,” in Proc. 2004 International Power Electronics and Motion Control Conference, Xi’an, China, Aug. 2004. A. A. Aboulnaga and A. Emadi, “Design of high performance linear brush-less DC motor with ironless core,” in Proc. 2004 International Power Electronics and Motion Control Conference, Xi’an, China, Aug. 2004. (Invited) A. Emadi and S. S. Williamson, “Fuel cell vehicles: opportunities and challenges,” in Proc. 2004 IEEE Power Engineering Society General Meeting, Denver, CO, June 2004. M. Ferdowsi, A. Emadi, M. Telefus, and C. Davis, “Pulse regulation control technique for BIFRED converter,” in Proc. IEEE 35th Power Electronics Specialist Conference, Aachen, Germany, June 2004. A. Nasiri and A. Emadi, “Digital control of a three-phase series-parallel uninterruptible power supply/active filter system,” in Proc. IEEE 35th Power Electronics Specialist Conference, Aachen, Germany, June 2004. A. A. Aboulnaga and A. Emadi, “Integrated magnetic BIFRED converter with lower intermediate capacitor voltage,” in Proc. IEEE 35th Power Electronics Specialist Conference, Aachen, Germany, June 2004. A. A. Aboulnaga and A. Emadi, “Performance evaluation of the isolated bi-directional Cuk converter with integrated magnetics,” in Proc. IEEE 35th Power Electronics Specialist Conference, Aachen, Germany, June 2004. S. S. Williamson, A. Emadi, and M. Shahidehpour, “Distributed fuel cell generation in restructured power systems,” in Proc. 2004 IEEE Power Engineering Society General Meeting, Denver, CO, June 2004. A. Emadi, “Automotive power electronics and motor drives: interprofessional projects at Illinois Institute of Technology,” in Proc. NSF/ONR Sponsored Faculty Workshop on Teaching of Power Electronics and Electric Drives, Las Vegas, NV, Feb. 2004. S. Onoda and A. Emadi, “Modeling and simulation of power electronics intensive systems using PSIM: automotive examples,” in Proc. NSF/ONR Sponsored Faculty Workshop on Teaching of Power Electronics and Electric Drives, Las Vegas, NV, Feb. 2004. M. Ferdowsi and A. Emadi, “Pulse regulation control technique for flyback converter,” in Proc. 19th Annual IEEE Applied Power Electronics Conference, Anaheim, CA, Feb. 2004. A. Nasiri and A. Emadi, “Full digital control of a single-phase series-parallel uninterruptible power supply,” in Proc. 19th Annual IEEE Applied Power Electronics Conference, Anaheim, CA, Feb. 2004. A. A. Aboulnaga, P. C. Desai, F. Rodriguez, T. R. Cooke, and A. Emadi, “A novel, low-cost, high-performance single-phase adjustable-speed motor drive using PM brush-less DC machine: IIT’s design for 2003 Future Energy Challenge,” in Proc. 19th Annual IEEE Applied Power Electronics Conference, Anaheim, CA, Feb. 2004. Y. P. Patel and A. Emadi, “Thyristor-based resonant current controlled switched reluctance generator for distributed generation,” in Proc. 35th North American Power Symposium, Rolla, MO, Oct. 2003. S. Kaboli, M. R. Zolghadri, S. Haghbin, and A. Emadi, “Torque ripple minimization in DTC of induction motor based on optimized flux value determination,” in Proc. IEEE 29th Industrial Electronics Conference, Roanoke, VA, Nov. 2003 (This paper received Best Session Paper Presentation Award). S. Haghbin, M. R. Zolghadri, S. Kaboli, and A. Emadi, “Performance of PI stator resistance compensator on DTC of induction motor,” in Proc. IEEE 29th Industrial Electronics Conference, Roanoke, VA, Nov. 2003. A. Nasiri and A. Emadi, “Modeling, simulation, and analysis of active filter systems using generalized state space averaging method,” in Proc. IEEE 29th Industrial Electronics Conference, Roanoke, VA, Nov. 2003. Z. Nie, S. B. Bekiarov and A. Emadi, “An on-line UPS system with power factor correction and electric isolation using BIFRED converter,” in Proc. IEEE 29th Industrial Electronics Conference, Roanoke, VA, Nov. 2003. S. B. Bekiarov, A. Nasiri, and A. Emadi, “A new reduced parts on-line single-phase UPS system,” in Proc. IEEE 29th Industrial Electronics Conference, Roanoke, VA, Nov. 2003. V. Dawood and A. Emadi, “Performance and fuel economy comparative analysis of conventional, hybrid, and fuel cell heavy-duty transit buses,” in Proc. IEEE 2003 Vehicular Technology Conference, Orlando, FL, Oct. 2003. M. Ferdowsi, A. Emadi, M. Telefus, and A. Shteynberg, “Suitability of Pulse TrainTM, a novel digitally implemented real-time control technique, for BIFRED converter,” in Proc. IEEE 2003 International Telecommunications Energy Conference, Yokohama, Japan, Oct. 2003. A. Nasiri, S. B. Bekiarov, and A. Emadi, “Reduced parts single-phase series-parallel UPS systems with active filter capabilities,” in Proc. IEEE 2003 International Telecommunications Energy Conference, Yokohama, Japan, Oct. 2003. A. Nasiri, S. B. Bekiarov, and A. Emadi, “Reduced parts three-phase series-parallel UPS system with active filter capabilities,” in Proc. IEEE 38th Industry Application Society Annual Meeting, Salt Lake City, UT, Oct. 2003. A. Nasiri and A. Emadi, “Different topologies for single-phase unified power quality conditioners,” in Proc. IEEE 38th Industry Application Society Annual Meeting, Salt Lake City, UT, Oct. 2003. S. M. R. Sadriyeh, M. R. Zolghadri, J. Mahdavi, and A. Emadi, “Design and simulation of linear piezoelectric stepper motor drive using resonant converter,” in Proc. IEEE 38th Industry Application Society Annual Meeting, Salt Lake City, UT, Oct. 2003. F. Rodriguez, E. Uy, and A. Emadi, “Brush-less DC motor drive for steer-by-wire and electric power steering applications,” in Proc. 2003 Electrical Manufacturing and Coil Winding Expo, Indianapolis, Indiana, Sept. 2003. S. M. Lukic and A. Emadi, “Modeling of electric machines for automotive applications using efficiency maps,” in Proc. 2003 Electrical Manufacturing and Coil Winding Expo, Indianapolis, IN, Sept. 2003. A. A. Aboulnaga, J. R. Szekely, and A. Emadi, “Future energy challenge: A novel low-cost adjustable speed motor with wide speed range,” in Proc. 2003 Electrical Manufacturing and Coil Winding Expo, Indianapolis, IN, Sept. 2003. S. B. Bekiarov and A. Emadi, “A new on-line single-phase to three-phase UPS topology with reduced number of switches,” in Proc. IEEE 34th Power Electronics Specialist Conference, Acapulco, Mexico, June 2003. M. Telefus, A. Shteynberg, M. Ferdowsi, and A. Emadi, “Pulse Train™, a novel digital control method, applied to a discontinuous conduction mode flyback converter,” in Proc. IEEE 34th Power Electronics Specialist Conference, Acapulco, Mexico, June 2003. S. Kaboli, M. R. Zolghadri, and A. Emadi, “Hysteresis band determination of direct torque controlled induction motor drives with torque ripple and motor-inverter loss considerations,” in Proc. IEEE 34th Power Electronics Specialist Conference, Acapulco, Mexico, June 2003. S. S. Williamson and A. Emadi, “Power electronics intensive electrical power systems for spacecraft applications,” in Proc. 2003 IEEE Electro/Information Technology Conference, Indianapolis, IN, June 2003. A. Shrinath and A. Emadi, “On the suitability of electronic control units for automotive power systems,” in Proc. 2003 IEEE Electro/Information Technology Conference, Indianapolis, IN, June 2003. A. E. Amac, A. Nasiri, and A. Emadi, “A comparative study of single-phase active filters for improving power quality,” in Proc. 2003 IEEE Electro/Information Technology Conference, Indianapolis, IN, June 2003. F. Aras, R. Suerkan, A. E. Amac, and A. Emadi, “Determination of excitation capacitance for isolated induction generator using low cost electronic controller,” in Proc. 2003 IEEE Electro/Information Technology Conference, Indianapolis, IN, June 2003. A. Nasiri and A. Emadi, “A novel feed back/feed forward control method for active filters,” in Proc. 2003 IASTED International Conference on Power and Energy Systems, Palm Springs, CA, Feb. 2003. Y. P. Patel and A. Emadi, “Suitability of switched reluctance machines in distributed generation systems,” in Proc. 2003 IASTED International Conference on Power and Energy Systems, Palm Springs, CA, Feb. 2003. S. M. Lukic and A. Emadi, “Advantages of hybrid electric vehicles with parallel drivetrain configurations,” in Proc. 2002 Electrical Manufacturing and Coil Winding Expo, Cincinnati, OH, Oct. 2002. A. A. Aboulnaga and A. Emadi, “High performance linear brushless DC motor drives for automotive applications,” in Proc. 2002 Electrical Manufacturing and Coil Winding Expo, Cincinnati, OH, Oct. 2002. S. S. Williamson and A. Emadi, “Fuel cell applications in the automotive industry,” in Proc. 2002 Electrical Manufacturing and Coil Winding Expo, Cincinnati, OH, Oct. 2002. R. Oza and A. Emadi, “Feasibility and applicability of computer methods/tools for analyzing advanced power electronic systems,” in Proc. 2002 International Power Electronics Technology Conference, Rosemont, IL, Oct. 2002. A. A. Aboulnaga, A. Emadi, J. Mahdavi, and M. Telefus, “Integrated magnetic structures for DC/DC converters: Modeling, analysis, design, and applications,” in Proc. 2002 International Power Electronics Technology Conference, Rosemont, IL, Oct. 2002. A. A. Aboulnaga, A. Emadi, J. Mahdavi, and M. Telefus, “Analysis and performance evaluation of DC/DC Cuk converters with integrated magnetic components,” in Proc. 2002 International Power Electronics Technology Conference, Rosemont, IL, Oct. 2002. Z. Nie, A. Emadi, J. Mahdavi, and M. Telefus, “SEPIC and BIFRED converters for switch-mode power supplies: A comparative study,” in Proc. 2002 International Telecommunications Energy Conference, Montreal, Canada, Sept./Oct. 2002. A. A. Aboulnaga, M. M. Atout, and A. Emadi, “Analysis and design of forced commutation circuit for by-pass Thyristor-based AC-DC converters,” in Proc. IEEE 28th Industrial Electronics Conference, Sevilla, Spain, Nov. 2002. A. Emadi and A. Abur, “Real time state estimation of multi-converter DC power electronic systems using generalized state space averaging method,” in Proc. IEEE 33rd Power Electronics Specialist Conference, Cairns, Queensland, Australia, June 2002. B. Fahimi and A. Emadi, “Robust position sensorless control of switched reluctance motor drives over the entire speed range,” in Proc. IEEE 33rd 2002 Power Electronics Specialist Conference, Cairns, Queensland, Australia, June 2002. A. A. Aboulnaga, A. R. Amin, M. M. Atout, and A. Emadi, “GTO by-pass thyristor based method for improving performance of single-phase AC/DC bridge converters,” in Proc. IEEE 33rd 2002 Power Electronics Specialist Conference, Cairns, Queensland, Australia, June 2002. S. M. Lukic and A. Emadi, “Performance analysis of automotive power systems: effects of power electronic intensive loads and electrically-assisted propulsion systems,” in Proc. 2002 IEEE Vehicular Technology Conference, Vancouver, BC, Canada, Sept. 2002. S. Onoda, S. M. Lukic, A. Nasiri, and A. Emadi, “A PSIM-based modeling tool for conventional, electric, and hybrid electric vehicle studies,” in Proc. 2002 IEEE Vehicular Technology Conference, Vancouver, BC, Canada, Sept. 2002. S. B. Bekiarov and A. Emadi, “Uninterruptible power supplies: classification, operation, dynamics, and control,” in Proc. 17th Annual IEEE Applied Power Electronics Conference, Dallas, TX, March 2002. A. Emadi, “A new negative impedance stabilizing control technique for switching power supplies with constant power loads,” in Proc. 2001 International Conference on Power Electronics, Seoul, Korea, Oct. 2001. S. S. Williamson and A. Emadi, “Power electronic converters for fuel cell applications,” in Proc. 2001 International Conference on Power Electronics, Seoul, Korea, Oct. 2001. L. Safavian, S. Filizadeh, and A. Emadi, “Lyapunov-based fuzzy control scheme for switched reluctance motor drives,” in Proc. 2001 International Conference on Power Electronics, Seoul, Korea, Oct. 2001. A. Emadi, “Modeling of power electronic loads in AC distribution systems using the generalized state space averaging method,” in Proc. IEEE 27th Industrial Electronics Conference, Denver, CO, Nov./Dec. 2001. A. Emadi, “Modeling and analysis of multi-converter DC power electronic systems using the generalized state space averaging method,” in Proc. IEEE 27th Industrial Electronics Conference, Denver, CO, Nov./Dec. 2001 (This paper received Best Paper Presentation Award). 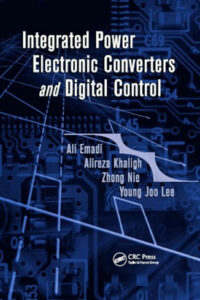 A. Emadi and M. Ehsani, “Dynamics and control of multi-converter DC power electronic systems,” in Proc. IEEE 32nd Power Electronics Specialist Conference, Vancouver, BC, Canada, June 2001. A. Emadi and M. Ehsani, “Multi-converter power electronic systems: Definition and applications,” in Proc. IEEE 32nd Power Electronics Specialist Conference, Vancouver, BC, Canada, June 2001. A. Emadi, “Feasibility of power electronic converters for low-voltage (42V) SRM drives in mildly hybrid electric traction systems,” in Proc. IEEE 2001 International Electric Machines and Drives Conference, Cambridge, MA, June 2001. 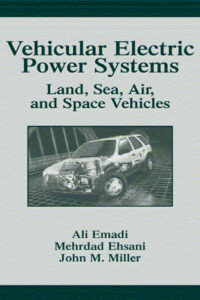 (Invited) M. Ehsani and A. Emadi, “Multi-converter vehicular power electronic systems: definition, dynamics, and applications,” Power Electrical Engineering Jubile, University of Paris VI, Paris, France, Dec. 2000. A. Emadi and M. Ehsani, “Negative Impedance Stabilizing Controls for PWM DC/DC Converters using Feedback Linearization Techniques,” in Proc. 35th Intersociety Energy Conversion Engineering Conference, Las Vegas, NV, July 2000. A. Emadi, M. Ehsani, and J. M. Miller, “Advanced silicon rich automotive electrical power systems,” in Proc. 18th Digital Avionics Systems Conference, St. Louis, MO, Oct. 1999. (Invited) J. M. Miller, A. Emadi, A. V. Rajarathnam, and M. Ehsani, “Current status and future trends in more electric car power systems,” in Proc. IEEE 1999 Vehicular Technology Conference, Houston, TX, May 1999. J. Mahdavi, A. Emadi, and H. A. Toliyat, “Application of state space averaging method to sliding mode control of PWM DC/DC converters,” in Proc. IEEE 1997 Industry Application Society Annual Meeting, New Orleans, LA, Oct. 1997. J. Mahdavi and A. Emadi, “Analysis of power electronic converters using the developed state space averaging method,” in Proc. IEEE 22nd Annual International Conference on Industrial Electronics, Taiwan, Aug. 1996. J. Mahdavi and A. Emadi, “Sliding mode control of PWM Cuk converter,” in Proc. IEE Sixth International Conference on Power Electronics and Variable Speed Drives, Nottingham, United Kingdom, Sept. 1996. A. Emadi, “The hybrid powertrain, a technology road map,” Presented at the 2017 CIBC’s Powertrain Summit, Hamilton, Ontario, Canada, March 2017. A. Emadi, “Next generation of electrified and autonomous vehicles,” Seminar presented at McMaster University, Hamilton, Ontario, Canada, Jan. 2017. (Invited) A. Emadi, “Hybrid and electric vehicles,” FCA-UFRPE, Recife, Pernambuco, Brazil, Dec. 2016. (Invited) A. Emadi, “The past and the future of electrified vehicle industry,” Panel presentation given at the 2016 IEEE Transportation Electrification Conference and Expo, Dearborn, MI, June 2016. (Invited) A. Emadi, “The next generation of auto: electrified and autonomous-capable,” Presented at the 2016 Automotive Parts Manufacturers’ Association (APMA) Annual Conference and Exhibition, Windsor, Ontario, Canada, June 2016. (Invited) A. Emadi, “McMaster Automotive Resource Center and the next generation electrified vehicles,” Presented at the 2016 Annual MathWorks Research Summit, Newton, MA, June 2016. (Invited) A. Emadi, “Transportation electrification and role of electric motors, power electronics, and energy storage systems,” Keynote presentation given at the FCA-UFRPE I International Conference of Electric and Hybrid Vehicles, Recife, Pernambuco, Brazil, May 2016. A. Emadi, “Next generation high-performance electrified vehicles,” Presented at the 2016 Canada Excellence Research Chairs Program Summit, Ottawa, Ontario, Canada, April 2016. A. Emadi, “Transportation electrification,” Presented at the 2014 Canada Excellence Research Chairs Program Summit, Quebec City, Quebec, Canada, April 2014. (Invited) A. Emadi, “Paradigm shifts in energy systems and transportation electrification,” Seminar presented at the University of Toronto, Toronto, Ontario, Canada, February 2014. (Invited) A. Emadi, “Paradigm shifts in energy systems and transportation electrification,” Distinguished Speaker Seminar presented at Ryerson University, Toronto, Ontario, Canada, Dec. 2013. (Invited) A. Emadi, “Electrifying transportation,” Keynote presentation given at the 2013 Annual General Meeting of the IEEE Toronto Section, Toronto, Ontario, Canada, Oct. 2013. (Invited) A. Emadi, “Electrification in transportation,” Seminar presented at the University of Lorraine, Nancy, France, Oct. 2013. (Invited) A. Emadi, “Advanced electric drive vehicles,” Seminar presented at ESTACA, Laval, France, Oct. 2013. (Invited) A. Emadi, “Comeback of The Electric City: electrifying Hamilton, where it all began,” Presentation given to the Board of Governors, McMaster University, Hamilton, Ontario, Canada, Sept. 2013. (Invited) A. Emadi, “Transportation electrification,” Seminar presented at KTH Royal Institute of Technology, Stockholm, Sweden, Aug. 2013. (Invited) A. Emadi, “Low-cost truly digital control of electric motor drives,” Presentation given at the 15th WEG’s Scientific and Technological Committee Meeting, Jaragua do Sul, Santa Catarina, Brazil, May 2013. (Invited) A. Emadi, “Motors and drives for hybrid and electric propulsion systems,” Half-day short course presented at the 15th WEG’s Scientific and Technological Committee Meeting, Jaragua do Sul, Santa Catarina, Brazil, May 2013. A. Emadi, “Electrified transportation: where the road meets the grid,” Presented at the 2013 Canada Excellence Research Chairs Program Summit, Edmonton, Alberta, Canada, May 2013. (Invited) A. Emadi, “Electrification in transportation and role of power electronics,” Distinguished Speaker Seminar presented at Queen’s University, Kingston, Ontario, Canada, March 2013. (Invited) A. Emadi, “Automotive industry and electrification,” Plenary presentation given at the SMMA (The Motor & Motor Association) 2012 Fall Technical Conference, St. Louis, MO, Nov. 2012. A. Emadi, “Energy technology 2.0: leading paradigm shifts and technology convergence,” Special presentation given to tri-agency staff and other Canadian government stakeholders, Canada Excellence Research Chairs Program, Ottawa, ON, Oct. 2012. (Invited) A. Emadi, “Transportation industry and electrification,” Seminar presented at Navistar International Corporation, Lisle, IL, Sept. 2012. (Invited) A. Emadi, “Next generation of hybrid electric vehicles,” Keynote presentation given at the 2012 Power Electronics South America Conference, Sao Paulo, Brazil, Sept. 2012. (Invited) A. Emadi, “Paradigm shift in transportation: electrification,” Keynote presentation given at the Opening Ceremony of the Electric Drives and Machines Institute, Graz University of Technology, Graz, Austria, July 2012. (Invited) A. Emadi, “Powering sustainable transportation: new energy paradigm providing greater levels of empowerment for consumers,” Seminar presented at the University of Waterloo, Waterloo, Ontario, Canada, June 2012. (Invited) A. Emadi, “Electrification in transportation: advanced electric drive vehicles,” Seminar on Electric Vehicles, Institute for Energy Technology, Aalborg University, and Center for Electric Technology, Technical University of Denmark, Aalborg, Denmark, April 2012. A. Emadi, “Leading the energy economy toward sustainability: through paradigm shifts & technology convergence,” Presented at the 2012 Canada Excellence Research Chairs Program Summit, Vancouver, Canada, February 2012. (Invited) A. Emadi, “Paradigm shift in transportation: electrification,” Presented at the 2011 Green Auto Powertrain AGM, Hamilton, Canada, November 2011. A. Emadi, “Transportation electrification: providing greater levels of empowerment for consumers,” Presented at the 2011 Electric Mobility Canada (EMC) EV 2011 Conference and Trade Show, Toronto, Canada, Sept. 2011. (Invited) A. Emadi, “Next generation of vehicles: cleaner, more efficient, safer, smarter, higher performance, and more affordable,” Presented at the 2011 IEEE-USA Annual Meeting, Austin, TX, March 2011. (Invited) A. Emadi, “Electric, hybrid electric and plug-in hybrid electric vehicle,” Workshop Presented at Rane Group, Chennai, India, December 2010. (Invited) A. Emadi, “Transportation 2.0: electrified,” Hybrid and Advanced Vehicle Technology Panel speech given at the 2010 Eaton Energy Evolution: Transforming the Future of Power Symposium, Chicago, IL, June 2010. (Invited) A. Emadi, “Transportation 2.0: electrified,” Presented at the Symposium on Smart Mobility-Part I: Opportunities for Electrified Transportation in Florida, The Florida State University’s Institute for Energy Systems, Economics and Sustainability, Tallahassee, FL, April 2010. (Invited) A. Emadi, “Enabling cleaner, greener and affordable domestic electricity to replace petroleum: transportation 2.0,” Presented at the University of Texas-Arlington, Arlington, TX, Feb. 2010. (Invited) A. Emadi, “Hybrid and plug-in hybrid electric vehicles: transportation 2.0,” Presented at the Midwest Clean Tech 2009, Federal Reserve Bank, Chicago, IL, Nov. 2009. (Invited) A. Emadi, “Paradigm shift in transportation: hybrid and plug-in hybrid electric vehicles,” Presented at McMaster University, Hamilton, Canada, Oct. 2009. (Invited) A. Emadi, “Plug-in hybrid electric vehicles and vehicle-to-grid (V2G) integration,” Half-day tutorial presented at the 2009 IEEE PES/IAS International Conference on Sustainable Alternative Energy, Valencia, Spain, Sept. 2009. A. Emadi, “Plug-in hybrid electric vehicles: transportation 2.0,” Half-day tutorial presented at the 2009 IEEE Vehicle Power and Propulsion Conference (VPPC’09), Dearborn, MI, Sept. 2009. (Invited) A. Emadi, “Transportation 2.0: advanced electric drive vehicles,” Energy Policy and Future Transportation Panel speech given at the 2009 IEEE Vehicle Power and Propulsion Conference (VPPC’09), Dearborn, MI, Sept. 2009. (Invited) A. Emadi, “Plug-in hybrid electric vehicles,” Invited speech given at the Université des Sciences et Technologies de Lille, Lille, France, Jan. 2009. (Invited) A. Emadi, “Saving the planet, one plug-in hybrid vehicle at a time,” Invited speech given at the MHPEA 2008 PD Conference, Winnipeg, Manitoba, Canada, Nov. 2008. A. Emadi, “Hybrid and plug-in hybrid electric vehicles,” Half-day tutorial presented at the 34th Annual Conference of the IEEE Industrial Electronics Society (IECON’08), Orlando, Florida, Nov. 2008. (Invited) A. Emadi, “Plug-in hybrid electric vehicles: sustainable solution for transportation,” Keynote speech given at the 2008 IEEE Vehicle Power and Propulsion Conference (VPPC’08), Harbin, China, Sept. 2008. (Invited) A. Emadi, “Plug-in hybrid electric vehicles: sustainable solution,” Invited seminar given at the University of Manitoba, Winnipeg, Manitoba, Canada, April 2008. (Invited) A. Emadi, “Plug-in hybrid electric vehicles: sustainable solution,” Invited presentation given at the 2008 Midwest Energy Solutions Conference, Chicago, IL, Jan. 2008. (Invited) A. Emadi, “Hybrid and plug-in hybrid electric vehicles: a lasting solution,” Keynote speech given at the Mobilis 2007, Mulhouse, France, Dec. 2007. (Invited) A. Emadi, “Plug-in hybrid electric vehicles: challenges and unprecedented opportunities into the future,” Keynote speech given at the 2007 Plug-in Hybrid Electric Vehicle Conference (PHEV’07), Winnipeg, Manitoba, Canada, Nov. 2007. S. M. Lukic, A. Emadi, and B. Fahimi, “Energy storage systems for electric, hybrid electric, and fuel cell vehicles,” Half-day tutorial presented at the 33rd Annual Conference of the IEEE Industrial Electronics Society (IECON’07), Taipei, Taiwan, Nov. 2007. (Invited) A. Emadi, “Hybrid and plug-in hybrid conversion,” Keynote speech given at the 2007 IEEE Vehicle Power and Propulsion Conference (VPPC’07), Arlington, TX, Sept. 2007. A. Emadi, “Automotive power electronics and motor drives: current status and future trends,” Half-day tutorial presented at the IEEE 38th Power Electronics Specialist Conference (PESC’07), Orlando, FL, June 2007. (Invited) A. Emadi, “Electrical machines and drives for vehicle applications,” Week-long course presented at the Energy Institute, Tubitak Marmara Research Center, Turkey, May 7-11, 2007. A. Emadi, “Automotive power electronics and motor drives: applications in hybrid electric and fuel cell vehicles,” Half-day tutorial presented at the 32nd Annual Conference of the IEEE Industrial Electronics Society (IECON’06), Paris, France, Nov. 2006. (Invited) A. Emadi, “Advanced automobiles: current status and future trends,” presented at Human Resources Development Institute, Chungnam, Korea, July 2005. (Invited) A. Emadi, “Power electronics, motor drives, and vehicular applications,” Week-long course presented at Korea University of Technology and Education, Chungnam, Korea, July 25-29, 2005. (Invited) A. Emadi, “Automotive power electronics and motor drives: unprecedented opportunities into the future,” presented at the Electrical Engineering Department, Sharif University of Technology, Tehran, Iran, June 2005. (Invited) A. Emadi, “Modern automotive systems: power electronic and motor drive opportunities and challenges,” Half-day tutorial presented at the 2005 IEEE International Electric Machines and Drives Conference (IEMDC’07), San Antonio, TX, May 2005. A. Emadi, “A novel switched reluctance machine for propulsion applications and a novel true digital control technique for automotive motor drives,” presented at Ford Motor Company SRL, Dearborn, MI, April 2005. (Invited) A. Emadi, “Current status and future trends in automotive industry,” presented at the Department of Biological, Chemical, and Physical Sciences – Physics Colloquium, Illinois Institute of Technology, March 2005. (Invited) A. Emadi, “Power electronics in conventional, hybrid electric, and fuel cell vehicles,” Half-day short course presented at the Power Electronics Technology Conference, Chicago, IL, Nov. 2004. A. Chakraborty and A. Emadi, “Nano power electronics,” presented at the IIT-Argonne National Lab Nanoscience Workshop, Chicago, IL, Aug. 2004. S. S. Irudayaraj and A. Emadi, “Micro and nano scale electric machines,” presented at the IIT-Argonne National Lab Nanoscience Workshop, Chicago, IL, Aug. 2004. (Invited) A. Emadi and S. S. Williamson, “Automotive electrical power systems,” Week-long course presented at Korea University of Technology and Education, Chungnam, Korea, Aug. 9-13, 2004. A. Emadi, R. Oza, and S. M. Lukic, “Design issues in switched-mode DC power supplies: DC output with synchronous rectification,” Tutorial presented at the IEEE 35th Power Electronics Specialist Conference (PESC’04), Aachen, Germany, June 2004. (Invited) A. Emadi, “Integrated education, research, business, and leadership: power electronics and motor drives experience at IIT,” presented at the 2004 Teaching Workshop, Armour College of Engineering, Illinois Institute of Technology, Jan. 2004. (Invited) A. Emadi, “Fuel cell vehicles vs. hybrid electric vehicles: facts and fictions,” presented at ECE Distinguished Speaker Seminar, Illinois Institute of Technology, Oct. 2003. M. Ehsani and A. Emadi, “Vehicular power electronics: automotive and aerospace applications of power electronic converters and motor drives,” Tutorial presented at the 18th Annual IEEE Applied Power Electronics Conference (APEC’03), Miami Beach, FL, Feb. 2003. (Invited) A. Emadi, “Power electronic and motor drive applications of magnetic materials,” keynote speech given at the 21st Annual Conference on Properties and Applications of Magnetic Materials, Chicago, IL, May 2002. A. Emadi and S. S. Williamson, “Structures, operations, and applications of fuel cells and their power electronics interface,” Tutorial presented at IEEE 33rd Power Electronics Specialist Conference, Cairns, Queensland, Australia, June 2002. M. Ehsani and A. Emadi, “Automotive electrical power systems: current status and future trends,” Tutorial presented at the 2000 IEEE Vehicular Technology Conference, Boston, MA, Sept. 2000. Earl Fairall, Design Considerations for High Surface-Speed and High-Load Switched Reluctance Machines, Ph.D. Dissertation, McMaster University, May 2017 (Co-Advised by Prof. Nigel Schofield). Jing Guo, Modeling and Design of Inverters using Novel Power Loss Calculation and DC-Link Current/Voltage Ripple Estimation Methods and Bus Bar Analysis, Ph.D. Dissertation, McMaster University, February 2017. Rong Yang, Electrified Vehicle Traction Machine Design with Manufacturing Considerations, Ph.D. Dissertation, McMaster University, December 2016 (Co-Advised by Prof. Stephen Veldhuis). Yingguang Sun, Unified Position Sensorless Solution with Wide Speed Range Capabilities for IPM Synchronous Motor Drives, Ph.D. Dissertation, McMaster University, November 2016 (Co-Advised by Prof. Shahin Sirouspour). Adhithya Ravichandran, Optimization-Based Microgrid Energy Management Systems, Ph.D. Dissertation, McMaster University, August 2016 (Co-Advised by Prof. Shahin Sirouspour). Hao Ge, Fractional Slot Concentrated Winding Interior Permanent Magnet Machines with Reluctance Torque: Inductance-Based Methodology for Comprehensive Analysis, Design, and Control, Ph.D. Dissertation, McMaster University, August 2016. Fei Peng, Three-Level Switched Reluctance Motor Drive and Control, Ph.D. Dissertation, McMaster University, July 2016. Ruoyu Hou, Integrated Active Filter Auxiliary Power Modules in Electrified Vehicle Applications, Ph.D. Dissertation, McMaster University, July 2016. Ran Gu, Physics-Based Modeling of Direct Coupled Hybrid Energy Storage Modules in Electrified Vehicles, Ph.D. Dissertation, McMaster University, July 2016. Weisheng (James) Jiang, Three-Phase 24/16 Switched Reluctance Machine for Hybrid Electric Powertrains: Design and Optimization, Ph.D. Dissertation, McMaster University, March 2016. Chia-Hao Tu, A Hybrid Energy Storage System Using Series-Parallel Reconfiguration Technique, Ph.D. Dissertation, McMaster University, December 2015. Haizhong Ye, Reliability Improvements in Dual Traction Inverters for Hybrid Electric Vehicles, Ph.D. Dissertation, McMaster University, September 2014. Jin Ye, Advanced Control Methods for Torque Ripple Reduction and Performance Improvement in Switched Reluctance Motor Drives, Ph.D. Dissertation, McMaster University, July 2014. Yinye Yang, Double-Rotor Switched Reluctance Machine for Integrated Electro-Mechanical Transmission in Hybrid Electric Vehicles, Ph.D. Dissertation, McMaster University, February 2014 (Co-Advised by Prof. Nigel Schofield). Berker Bilgin, A Novel Switched Reluctance Motor Based Propulsion Drive for Electric and Plug-in Hybrid Electric Vehicles, Ph.D. Dissertation, Illinois Institute of Technology, July 2011 (Co-Advised by Prof. Mahesh Krishnamurthy). Baiming Shao, Digital Control of 2-Quadrant and 4-Quadrant Switched Reluctance Motor Drives, Ph.D. Dissertation, Illinois Institute of Technology, May 2011. Yusuf Gurkaynak, Neural Adaptive Control Strategy for Hybrid Electric Vehicles with Parallel Powertrain, Ph.D. Dissertation, Illinois Institute of Technology, May 2011 (Co-Advised by Prof. Alireza Khaligh). Nikola Milivojevic, Digital Control of PM Brushless DC Machines in Generating Mode, Ph.D. Dissertation, Illinois Institute of Technology, December 2010. Igor Stamenkovic, Iron-Less Axial-Radial Flux Electric Machines, Ph.D. Dissertation, Illinois Institute of Technology, December 2010. Sanjaka G. Wirasingha, System Level Analysis of Plug-in Hybrid Electric Vehicles: Electrification, Energy Efficiency, and Control Strategy, Ph.D. Dissertation, Illinois Institute of Technology, July 2010. Jian Cao, Battery/Ultra-Capacitor Hybrid Energy Storage System for Electric, Hybrid Electric, and Plug-in Hybrid Electric Vehicles, Ph.D. Dissertation, Illinois Institute of Technology, July 2010. Young-Joo Lee, Integrated Bi-Directional AC/DC and DC/DC Converter for Plug-in Hybrid Electric Vehicles, Ph.D. Dissertation, Illinois Institute of Technology, May 2009. Piyush C. Desai, The Novel Concept of Switched Reluctance Machines with Higher Number of Rotor Poles, Ph.D. Dissertation, Illinois Institute of Technology, May 2009. Amir M. Rahimi, Addressing Negative Impedance Instability Problem of Constant Power Loads: Comprehensive View Encompassing Entire System from the Load to the Source, Ph.D. Dissertation, Illinois Institute of Technology, December 2008. Anand Sathyan, Digital PWM Control of Brush-Less DC Motor Drives, Ph.D. Dissertation, Illinois Institute of Technology, November 2008. Srdjan M. Lukic, Advanced Digital Control Techniques for Switched Reluctance Motor Drives, Ph.D. Dissertation, Illinois Institute of Technology, November 2007. Arindam Chakraborty, Digital Combination of DC/DC Converters: A Novel Theory Applied to Positive Buck-Boost Converters, Ph.D. Dissertation, Illinois Institute of Technology, February 2007. Fernando Rodriguez, Advanced Digital Control Techniques for Brush-Less DC Motor Drives, Ph.D. Dissertation, Illinois Institute of Technology, December 2006. Sheldon S. Williamson, Efficiency Modeling and Analysis of Power Electronic Converters and Electric Motor Drives for Parallel Hybrid Electric and Fuel Cell Vehicles, Ph.D. Dissertation, Illinois Institute of Technology, May 2006. Alireza Khaligh, Digital Control of DC/DC Converters Loaded by Constant Power Loads in Vehicular Systems, Ph.D. Dissertation, Illinois Institute of Technology, May 2006. Zhong Nie, Integrated Switched-Mode Power Supplies, Ph.D. Dissertation, Illinois Institute of Technology, May 2005. Aly A. Aboulnaga, Generalized Theory of Magnetic Integration for Power Electronic Converters, Ph.D. Dissertation, Illinois Institute of Technology, June 2004. Adel Nasiri, Series-Parallel Active Filter/Uninterruptible Power Supply Systems: Configurations, Modeling, and Digital Control, Ph.D. Dissertation, Illinois Institute of Technology, June 2004. Mehdi Ferdowsi, Advanced Digital Controls for Integrated Power Electronic Converters, Ph.D. Dissertation, Illinois Institute of Technology, June 2004. Stoyan B. Bekiarov, Reduced-Parts Uninterruptible Power Supplies, Ph.D. Dissertation, Illinois Institute of Technology, May 2004. David Schumacher, An Integrated Power Electronic System for Off-Grid Rural Applications, M.A.Sc. Thesis, McMaster University, September 2017 (Co-Advised by Prof. Nigel Schofield). Hannah Koke, Comparative Study of Stranded and Bar Windings in an Induction Motor for Automotive Propulsion Applications, M.A.Sc. Thesis, McMaster University, August 2017. Ying Cui, Three-Phase Dual Active Bridge Converter: Design Considerations and Planar Transformer Design, M.A.Sc. Thesis, McMaster University, August 2017. Haoding Li, Torque Ripple Minimization in Switched Reluctance Machines, M.A.Sc. Thesis, McMaster University, July 2017. Robert Lau, Design, Implementation, and Testing of a High-Power Electrified Powertrain for an American Muscle Car, M.A.Sc. Thesis, McMaster University, July 2017. Bharat Agrawal, Loss Minimization using Linear Soft-Switching with Wide Bandgap Devices in Efficient High-Frequency DC-DC Converters, M.A.Sc. Thesis, McMaster University, June 2017 (Co-Advised by Dr. Matthias Preindl). Trevor Hadden, Thermal Storage for Electric Vehicle Cabin Heating in Cold Weather Conditions, M.A.Sc. Thesis, McMaster University, February 2017 (Co-Advised by Prof. James Cotton). Michael Kasprzak, Switched Reluctance Machine Design for Household HVAC System Applications, M.A.Sc. Thesis, McMaster University, November 2016 (Co-Advised by Dr. James Cotton). Tyler Stiene, Analysis of a Hybrid Energy Storage System and Electrified Turbocharger in a Performance Vehicle, M.A.Sc. Thesis, McMaster University, November 2016. Xiao Wang, A Position Sensorless Control of Switched Reluctance Motors, M.A.Sc. Thesis, McMaster University, August 2016. William Michael Eull, Three-Phase Inverter Design Using Wide-Bandgap Semiconductors to Achieve High Power Density, M.A.Sc. Thesis, McMaster University, August 2016 (Co-Advised by Dr. Matthias Preindl). Lucas McCurlie, Redistributive Non-Dissipative Battery Balancing Systems with Isolated DC/DC Converters: Theory, Design, Control, and Implementation, M.A.Sc. Thesis, McMaster University, August 2016 (Co-Advised by Dr. Matthias Preindl). Weizhong Wang, Modeling, Estimation, and Benchmarking of Lithium Ion Electric Bicycle Battery, M.A.Sc. Thesis, McMaster University, August 2016 (Co-Advised by Dr. Pawel Malysz). Cody Rhebergen, The Importance of Electric Motor Thermal Management and the Role of Polymer Composites in Axial Cooling, M.A.Sc. Thesis, McMaster University, August 2015. Maximilian T. E. Heinrich, On the Concept of Electric Taxiing for Midsize Commercial Aircraft: A Power System and Architecture Investigation, M.A.Sc. Thesis, McMaster University, August 2015. Fabian Kelch, Investigation of System Requirements and Design of an Axial Flux Permanent Magnet Machine for an Electric Taxiing System for a Commercial Midsize Aircraft, M.A.Sc. Thesis, McMaster University, August 2015. Joel Roeleveld, On the Electrification of the American Muscle Car: An Analysis and Model Based Design, M.A.Sc. Thesis, McMaster University, August 2015 (Co-Advised by Prof. Saeid Habibi). Kamran Arshad-Ali, Suitability of Hybrid Electric Powertrains with Electric Turbocharger, M.A.Sc. Thesis, McMaster University, July 2015 (Co-Advised by Prof. Saeid Habibi). Abdul Lateef, Design and Analysis of an Active High Voltage Electric Accumulator, M.A.Sc. Thesis, McMaster University, July 2015 (Co-Advised by Dr. Hassan Kojori). Teng Guo, Double Rotor Switched reluctance Machine with Segmented Rotors, M.A.Sc. Thesis, McMaster University, December 2014 (Co-Advised by Dr. Nigel Schofield). Kavya P. Divakarla, Journey Mapping: A New Approach for Defining Automotive Drive Cycles, M.A.Sc. Thesis, McMaster University, December 2014 (Co-Advised by Dr. Saiedeh Razavi). Kai Yang, Transient Electro-Thermal Analysis of Traction Inverters, M.A.Sc. Thesis, McMaster University, November 2014. Guotao Lin, Optimal Energy Management in Micro Grids with Integrated Multi-Zone Heating/Cooling Control, M.A.Sc. Thesis, McMaster University, August 2014 (Co-Advised by Dr. Shahin Sirouspour). Zhe Sun, Full Bridge DC/DC Converter with Zero Current Switching Synchronous Rectification for Auxiliary Power Units, M.A.Sc. Thesis, McMaster University, August 2014. Parampreet Toor, Design of a Low Voltage Active Electric Accumulator with Integrated DC/DC Converters for Control and Protection, M.A.Sc. Thesis, McMaster University, June 2014 (Co-Advised by Dr. Hassan Kojori). Xiang (Eric) Yu, Optimization and Control of an Energy Management System for Microgrids, M.A.Sc. Thesis, McMaster University, February 2014 (Co-Advised by Prof. Shahin Sirouspour). Jianing Lin, External-Rotor 6/10 Switched Reluctance Motor for an Electric Bicycle, M.A.Sc. Thesis, McMaster University, December 2013 (Co-Advised by Prof. Nigel Schofield). Garrett Nielson, Hybrid Energy Storage System for High Performance Hybrid Electric Vehicles, M.S. Thesis, Illinois Institute of Technology, December 2010. Jonathan M. Sibley, Control Analysis of High-Performance Hybrid Electric Vehicles, M.S. Thesis, Illinois Institute of Technology, July 2010. Priscilla Mulhall, Solar-Assisted Electric Auto Rickshaw Three-Wheeler, M.S. Thesis, Illinois Institute of Technology, May 2010. Sadia Sadiq, Performance Analysis of Plug-in Hybrid Electric School Buses, M.S. Thesis, Illinois Institute of Technology, November 2008. Ji Wu, Plug-in Hybrid Electric Vehicles: Test, Simulation, and Analysis in Support of a Standardized Test Procedure, M.S. Thesis, Illinois Institute of Technology, September 2007. Jian Cao, Efficiency and Loss Models for Key Electronic Components of Hybrid and Plug-in Hybrid Electric Vehicles’ Electrical Propulsion Systems, M.S. Thesis, Illinois Institute of Technology, July 2007. Abhijeet A. Bhandwale, Digital Control of Electric Motor Drives for Home Appliances, M.S. Thesis, Illinois Institute of Technology, December 2006. Sanjaka G. Wirasingha, Hybrid Electric Conversion of Heavy-Duty Transit Buses, M.S. Thesis, Illinois Institute of Technology, May 2006. Sujay S. Irudayaraj, Micro-Machines: Classification, Analysis, and Design, M.S. Thesis, Illinois Institute of Technology, July 2005. Srdjan M. Lukic, Low-Voltage (42V) Electrical Power Systems for Hybrid Electric Vehicles, M.S. Thesis, Illinois Institute of Technology, May 2004. Madan M. Jalla, Modeling of Multi-Converter More Electric Ship Power Systems using the Generalized State Space Averaging Method, M.S. Thesis, Illinois Institute of Technology, May 2004. Fernando Rodriguez, Conduction-Angle Digital Control of Brush-Less DC Motor Drives for Electric Power Steering Applications, M.S. Thesis, Illinois Institute of Technology, May 2004. Piyush C. Desai, Novel Digital Control of Brush-Less DC Motor Drives, M.S. Thesis, Illinois Institute of Technology, May 2004. Venkata S. Rimmalapudi, Modeling and Analysis of Hybrid Power Electronic Based Distributed Generation Systems, M.S. Thesis, Illinois Institute of Technology, December 2003. Shigeru Onoda, PSIM-Based Modeling of Automotive Power Systems: Conventional, Electric, and Hybrid Electric Vehicles, M.S. Thesis, Illinois Institute of Technology, July 2003. Ritesh Oza, Synchronous Rectification for Integrated High-Quality Rectifier-Regulators, M.S. Thesis, Illinois Institute of Technology, May 2003. Yogesh P. Patel, Thyristor-Based Resonant Current Controlled Switched Reluctance Generator for Distributed Generation, M.S. Thesis, Illinois Institute of Technology, May 2003. Ranjit Jayabalan, Acceleration Support by Integrated Starter/Alternator for Automotive Applications, M.S. Thesis, Illinois Institute of Technology, May 2003. Sheldon S. Williamson, Power Electronic Converters for Fuel Cell Applications, M.S. Thesis, Illinois Institute of Technology, July 2002.